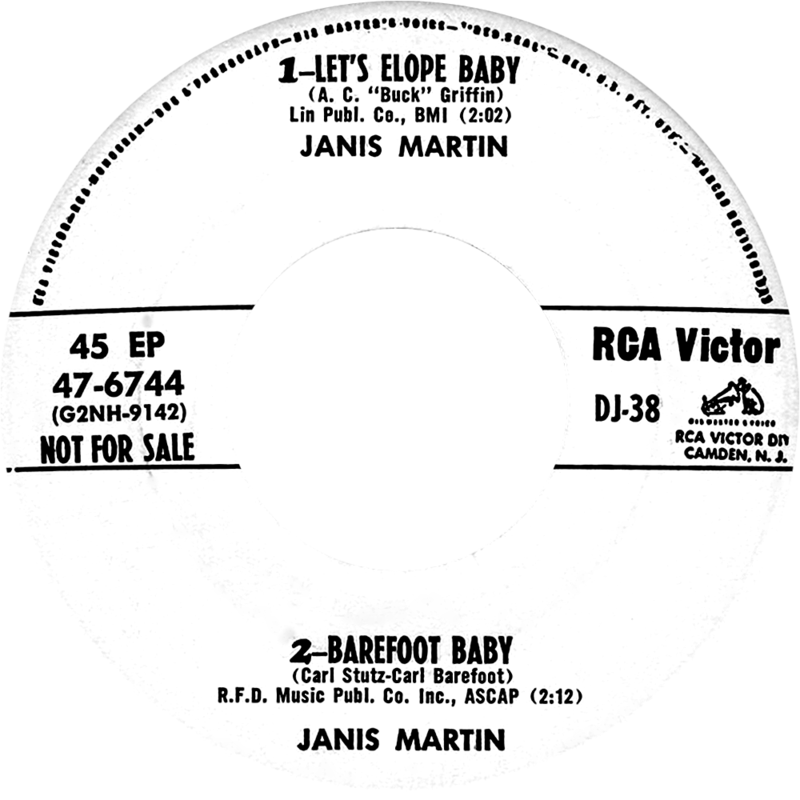 When talking (or even thinking) about Janis Martin, her un-offical nickname, the female Elvis Presley, almost immediately comes to mind. 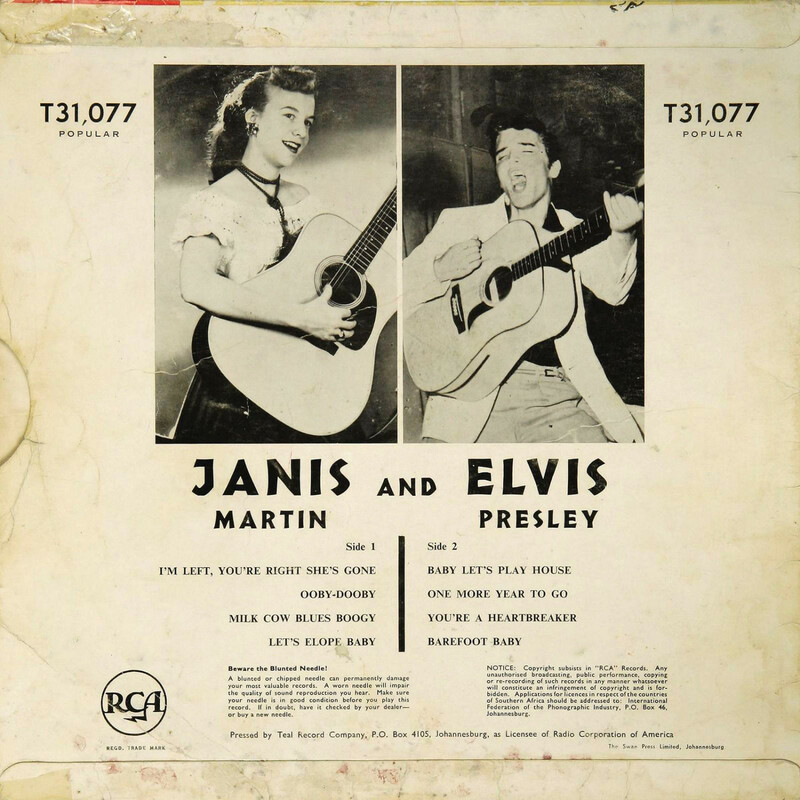 It seems impossible to think about Janis Martin without associating her with Elvis Presley. The reasons for this are plentiful and all very logical. 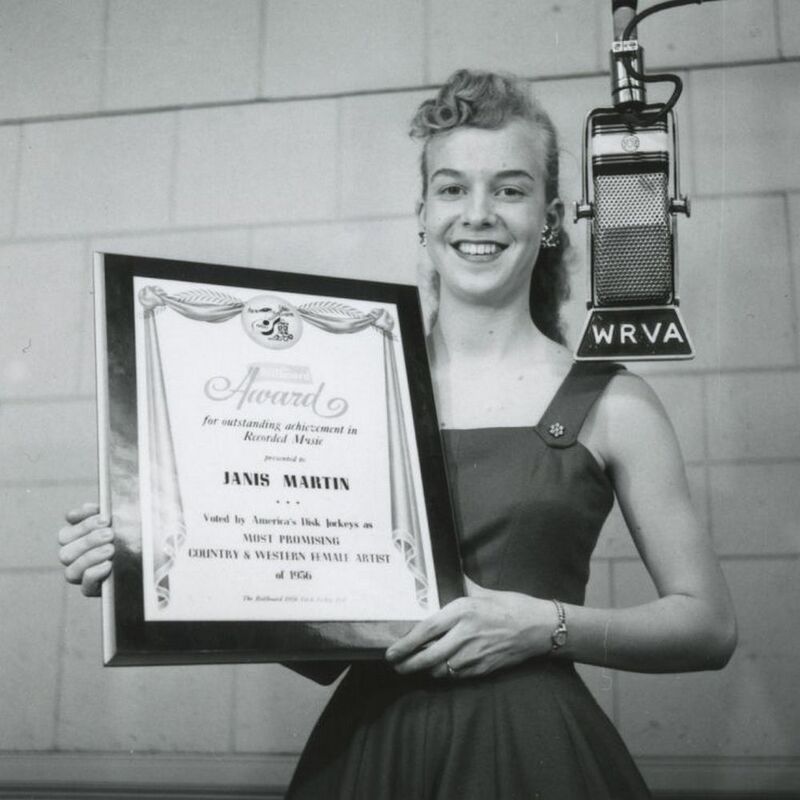 But Janis Martin has always been so much more than how RCA Victor sold her to the masses in 1956. 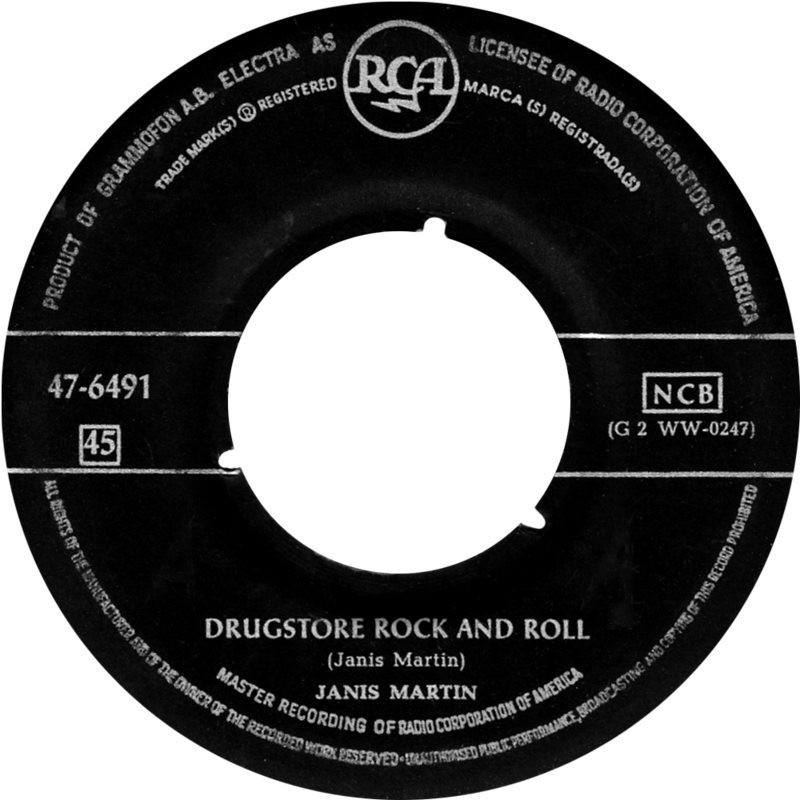 Janis Martin (1940-2007) was one of the few female singers working in the rock ‘n’ roll industry during the 1950’s. Next to her fresh and unique style of performing, Janis’ natural voice was in sharp contrast to the voices of most of the female rockers in those years. But Janis just seemed to do what came naturally to her: she simply sang her head off without forcing her voice into any of the fabricated sounds that were so typical for the bulk of female rockers. Another major difference between Janis and most of her female colleagues, was that she did not seem to fit the mould the record company had in mind for her. Janis did not walk the line. 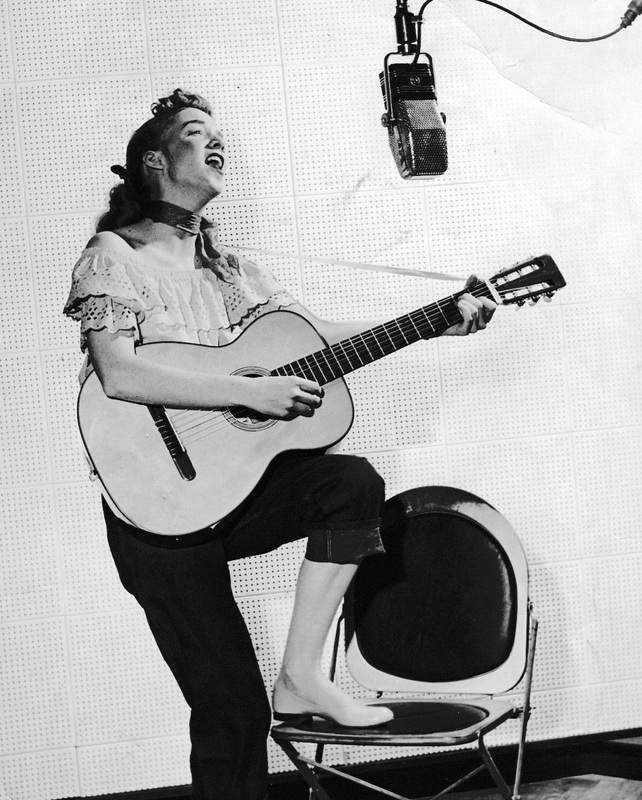 And in the male-dominated music industry of the 50’s, this eventually led to an early termination of Janis’ contract with RCA in 1958. 1956 and 1961, as measured by the music industry’s two leading trade journals: Billboard and The Cash Box. 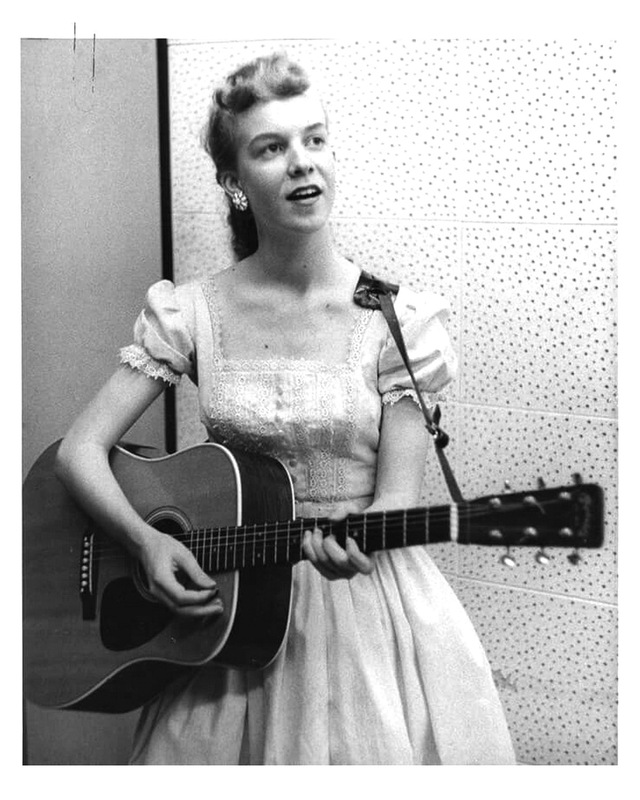 To be labeled the female Elvis Presley: a blessing, or a curse? Let’s find out. During six recording sessions for RCA, Janis recorded 26 songs. 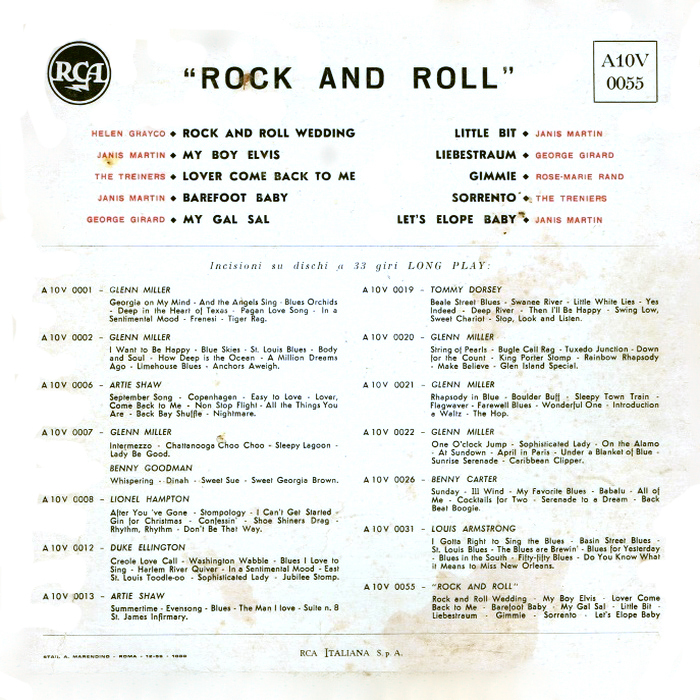 18 of these songs were released on 9 singles between April 1956 and August 1958. 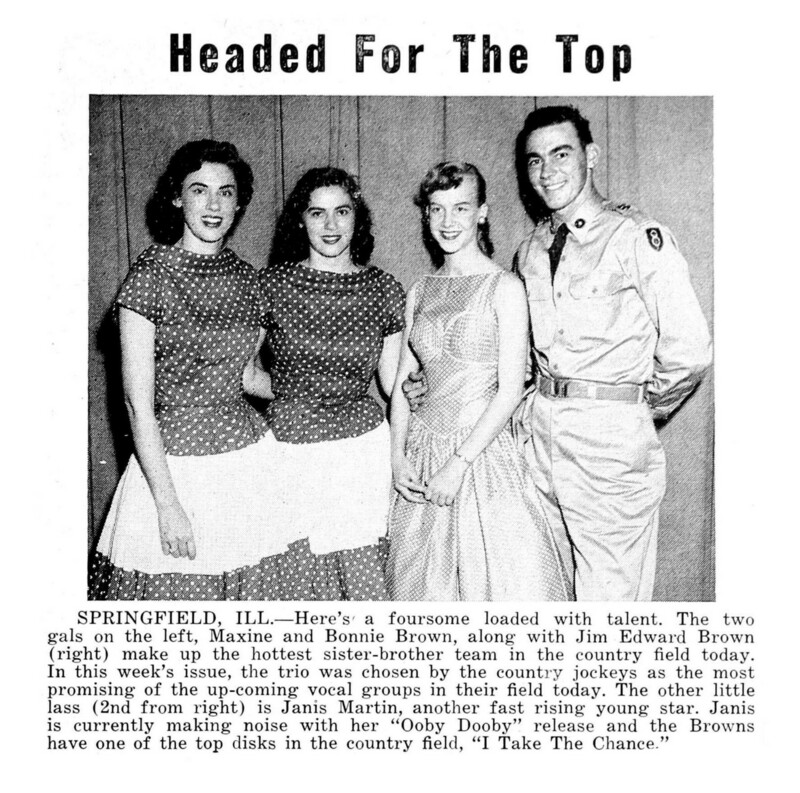 4 songs were released on EP in July 1957, and 4 songs remained unreleased. 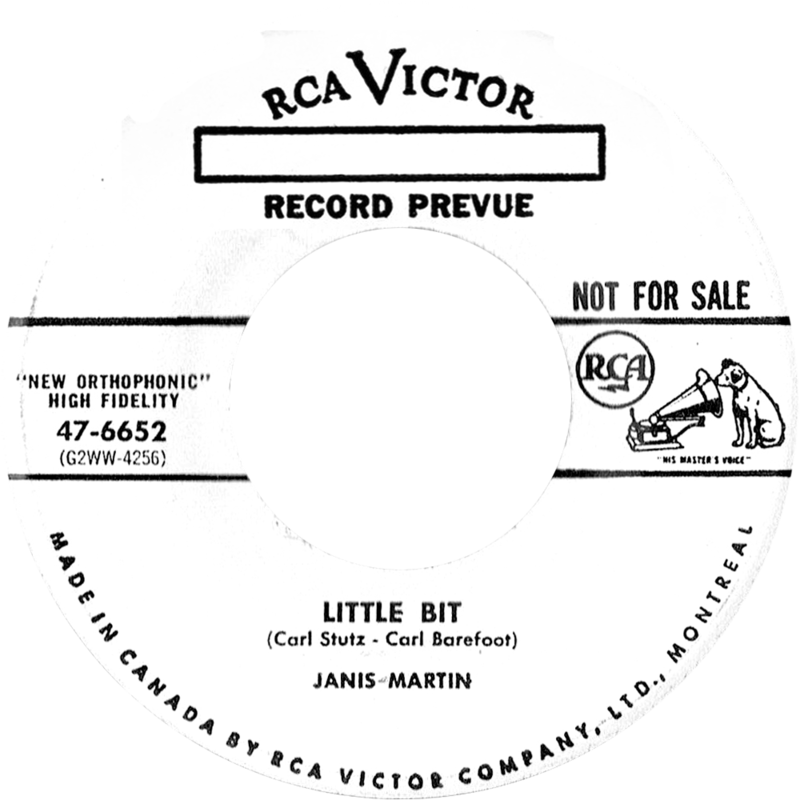 Though plenty of material was available, RCA in the USA did not release a Janis Martin LP. All of Janis’ singles came with a generic sleeve, just her EP came with a nice picture cover. Janis also recorded 4 songs for the Palette label during a session that was held in 1960. 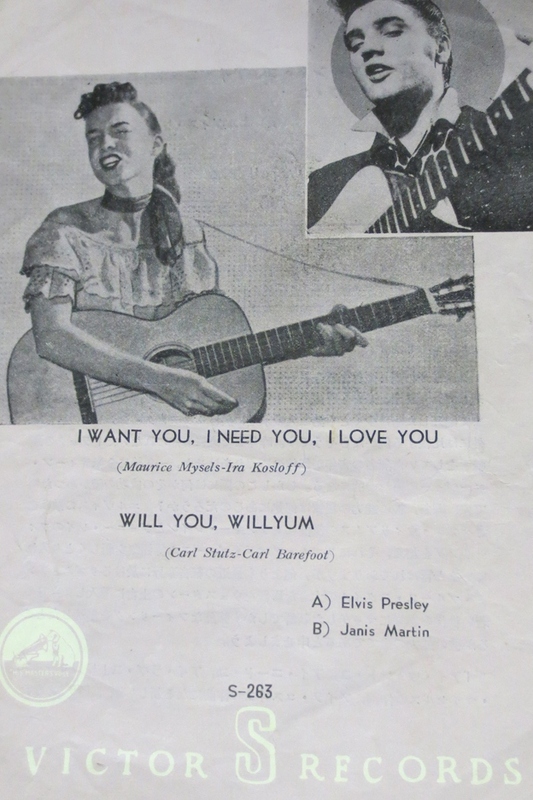 These 4 songs were released on 2 singles, in 1960 and 1961. After this, the fans had to wait until the rock ‘n’ roll revival of the 1980’s to see Janis Martin back in action again. 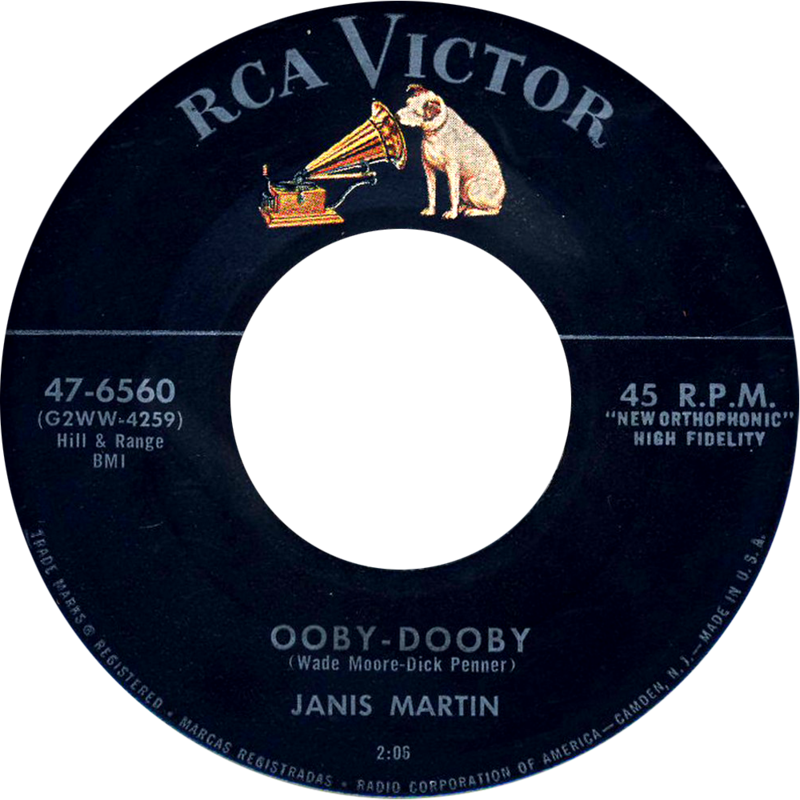 This tribute to Janis Martin is divided in four chapters. These chapters will be updated simultaneously in a year by year account of Janis’ career. We will of course start with her breakthrough year: 1956. To the right we see the first time ever Janis’ name appeared in Billboard magazine. And right from the get go, Janis was “described as a female Elvis Presley”. Janis’ first recordings were done before she turned 16, but she was backed by top-rate musicians (each of which will undoubtedly ring a bell with Elvis fans). 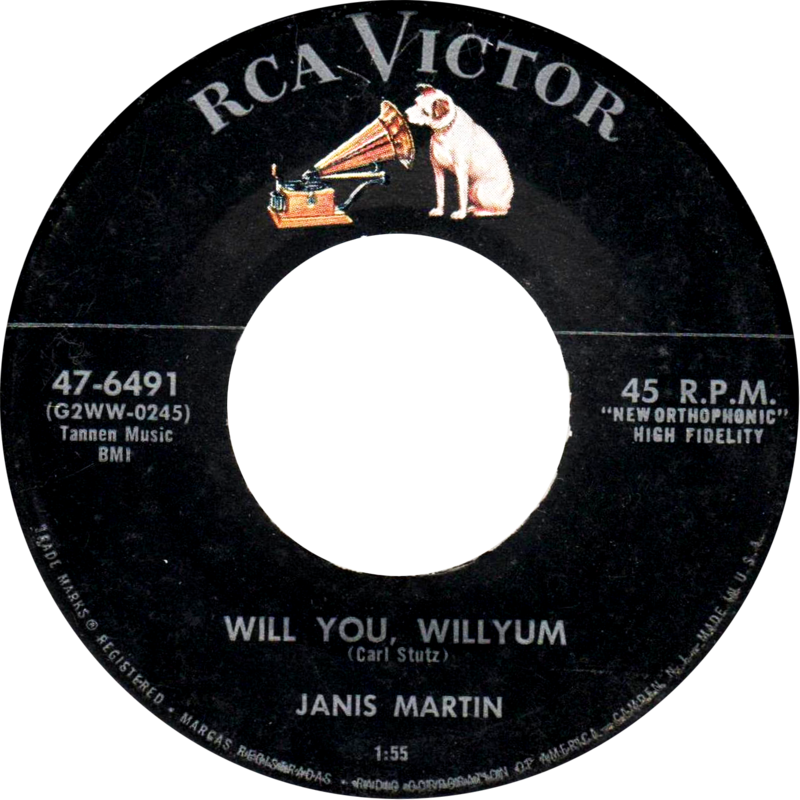 The two strongest songs that emerged from the first session, were coupled for Janis’ debut single. 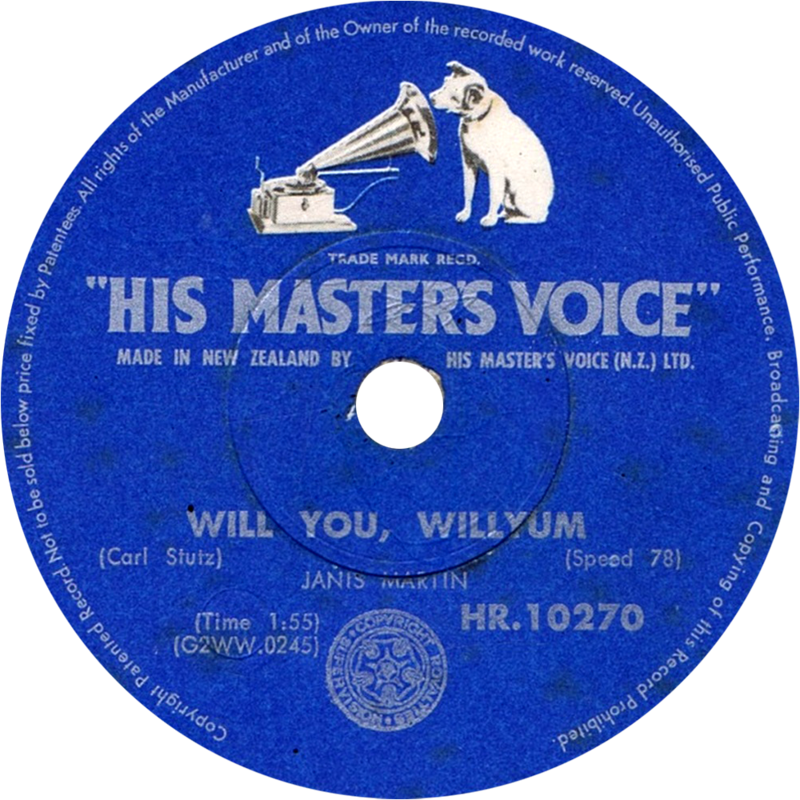 All of Janis’ RCA singles were available in both the 78 RPM and 45 RPM format. 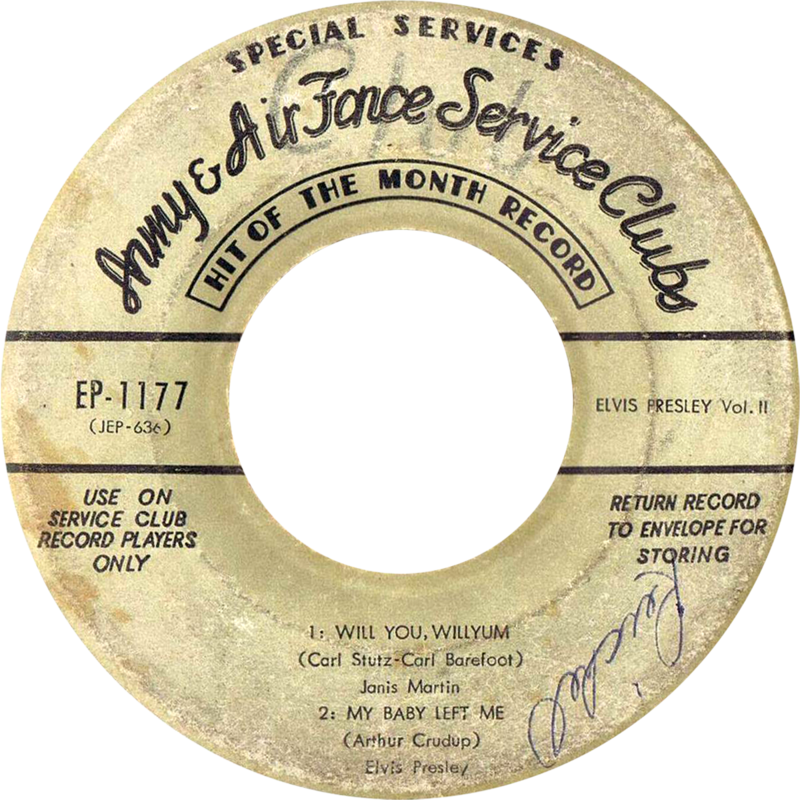 The catalog number of the two formats was identical, except for the two digit code preceding each record’s unique number. 78’s received a ’20’ code, while 45’s received a ’47’ code. In 1956, 78’s sold for $0.98, while 45’s were a bit cheaper and retailed at $0.89. 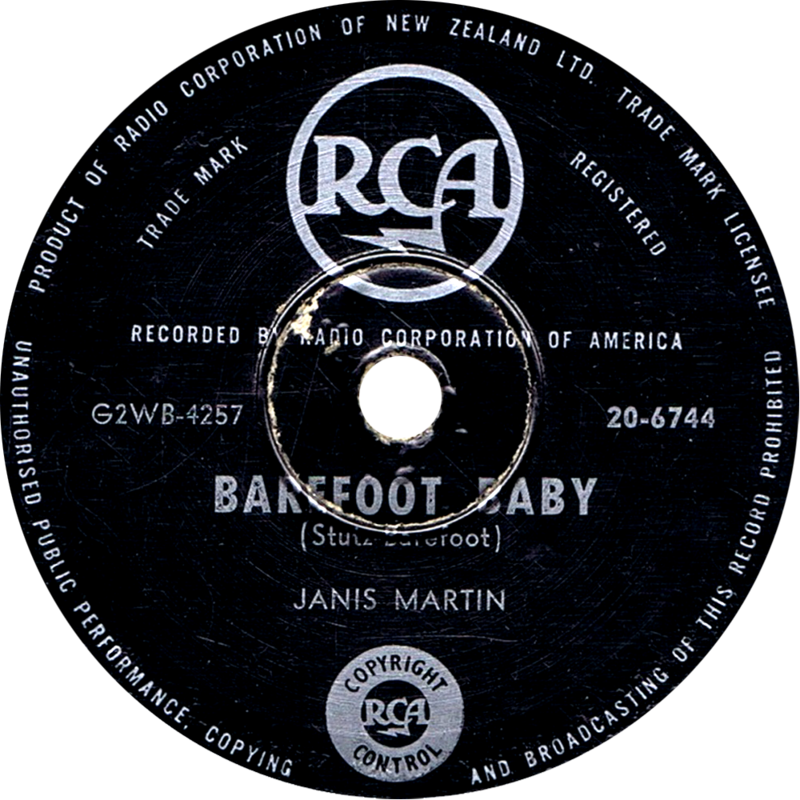 Janis’ first single, immediately earned her her first ‘Review Spotlight’ (a special feature that gave new records extra attention) in Billboard. The review was extremely positive: “The gal shows great promise”. 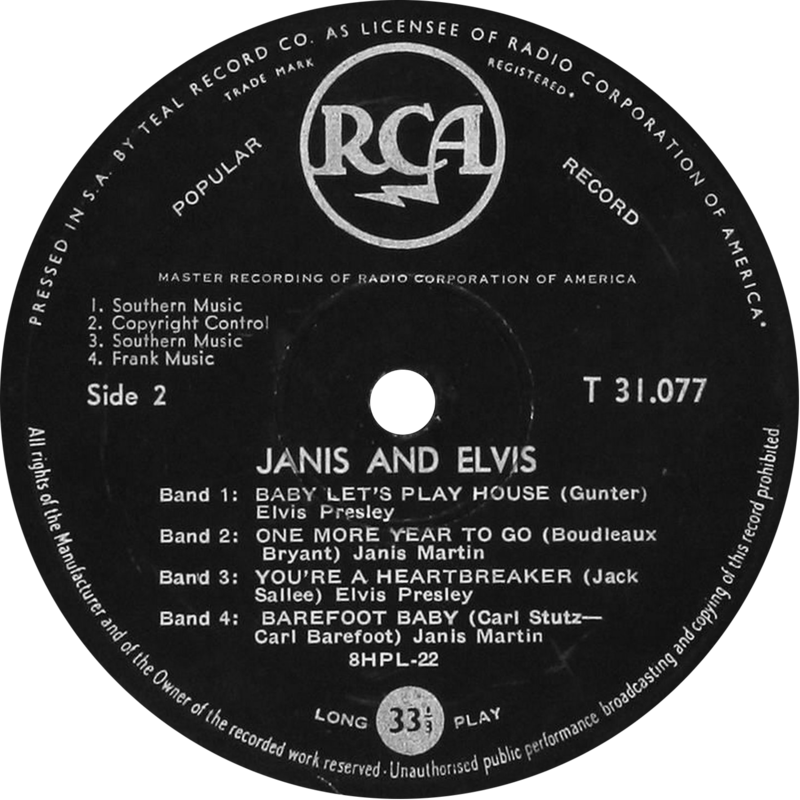 Within a week, Janis went from “described as a female Elvis Presley” to “billed as the female Elvis Presley”, courtesy of RCA producer Steve Sholes. Not Billboard, but its fiercest rival, The Cash Box, was given the honor to present the face of Janis Martin to America. And what an introduction it was! Janis, looking wild and stunning, simply oozed rock ‘n’ roll in this awesome full-page advertisement. It doesn’t happen very often that a singer’s debut single is being promoted by the record company through (expensive) full-page advertisements. 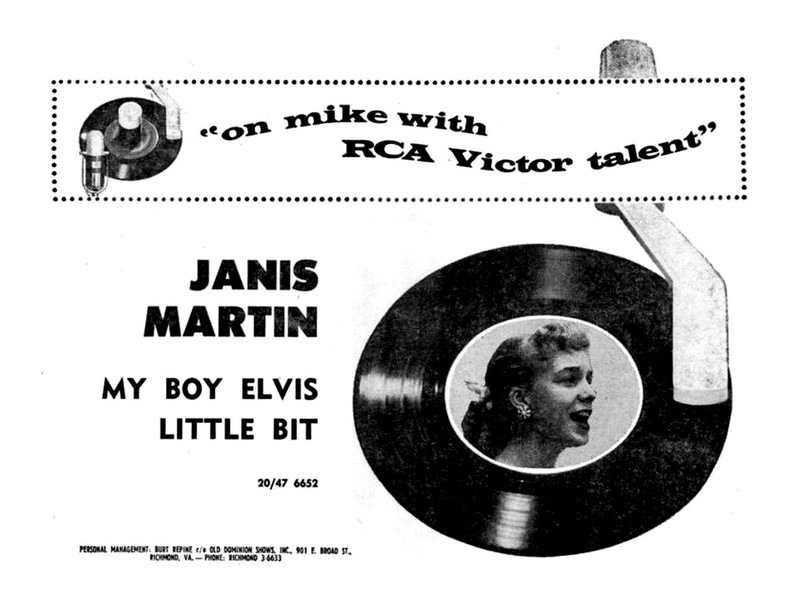 This ad clearly shows RCA’s confidence in Janis’ talents. It’s kind of hard to comprehend, but Janis was still only 15 years old when the photo shoot that included the image to the right (and also the photo on top of this article) took place. Yet, she already comes across as a self-confident woman with a strong own will and dito personality. These character traits would become even more evident in the near future. 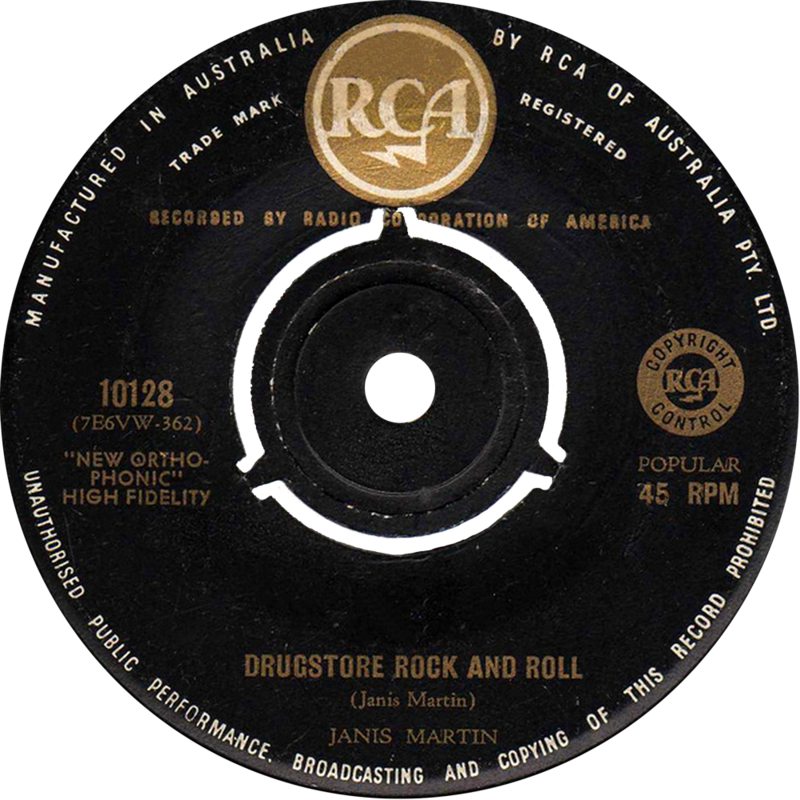 Drugstore Rock And Roll was written by Janis herself at age 15. 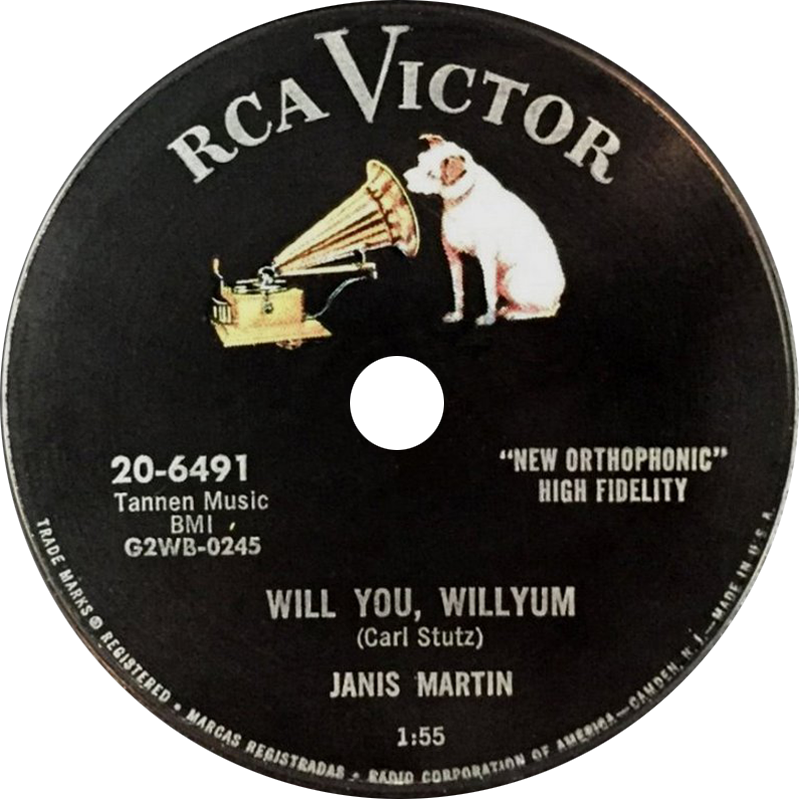 One more self-penned song would follow during the first phase of Janis’ career: Blues Keep Calling, in 1957, which was recorded that year but not released by RCA Victor. 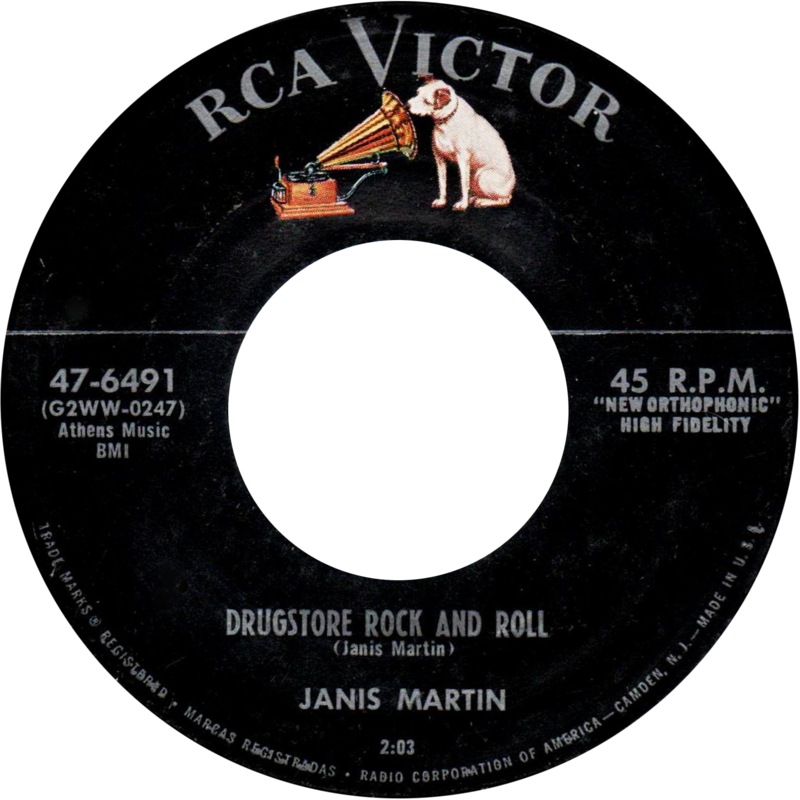 The article to the right marked the first time Janis’ name got mentioned in The Cash Box (other than the full-page ad RCA had placed in the previous issue of The Cash Box). This article basically reported on the buzz that was created around Janis’ debut single. 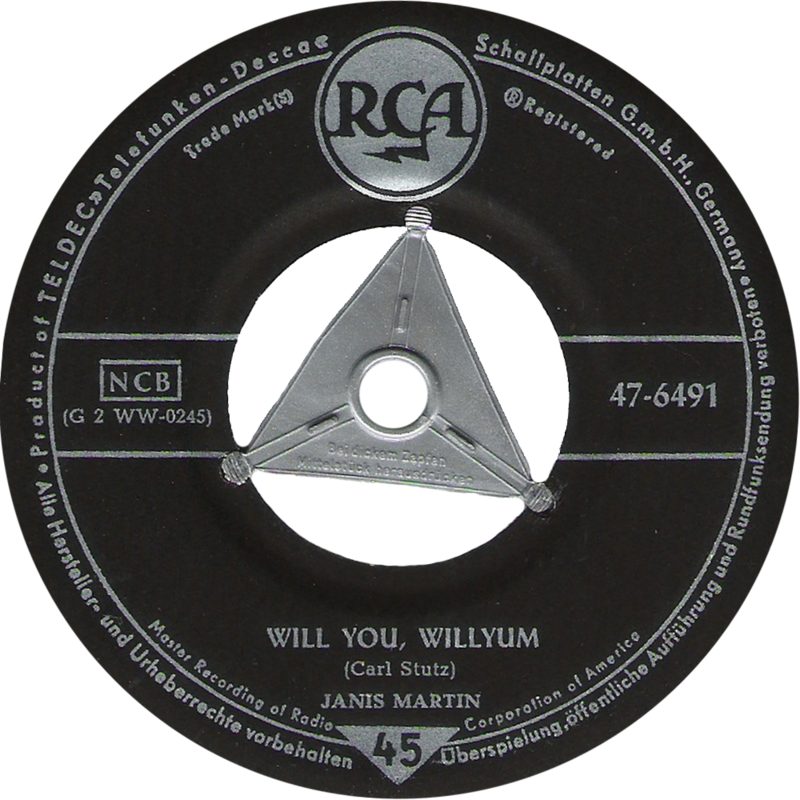 In the same edition of The Cash Box, Janis’ first single was a ‘Bullseye Of The Week’, which was The Cash Box’s equivalent of Billboard’s ‘Review Spotlight’. The single received a standing ovation in a review that seems to be running out of superlatives (“extremely exciting” and “tremendous”) to describe Janis’ debut record. 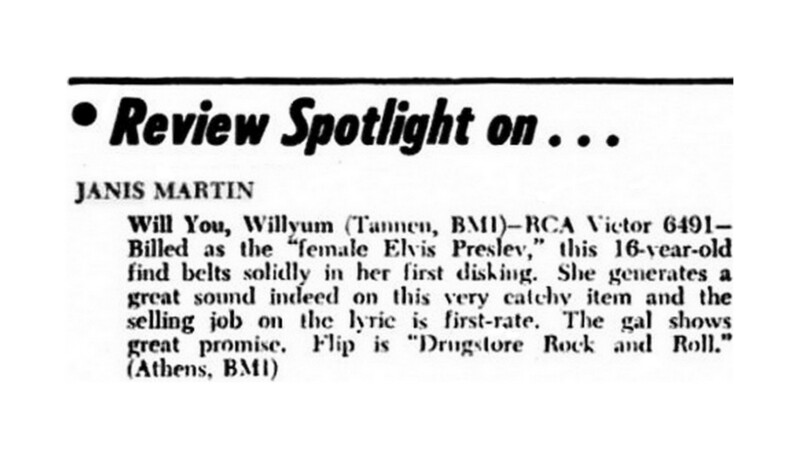 Even though a comparison to Elvis is being made, the focus in this review is definitely on the power of Janis’ own qualities. “Watch this gal go”. While Janis’ career got off to a flying start, she carried around a little secret. Two months before signing with RCA, Janis had gotten married, at age 15. She and her boyfriend had actually eloped, and even her own parents only found out about it after the deed had been done. 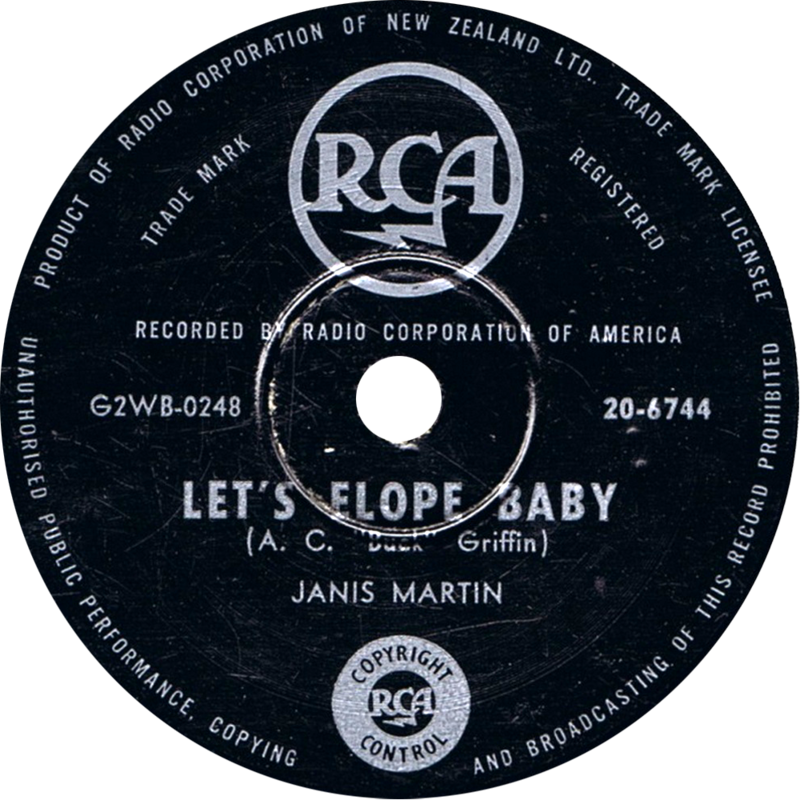 Ironically, Chet Atkins had given Janis a song to record during her first session for RCA titled Let’s Elope Baby. Since RCA wanted to present Janis as a “sweet little innocent fresh faced girl” (Janis’ own words), she decided to keep it a secret from the record company, something that was easy to do at this point because her husband, a paratrooper, had been sent to Germany. 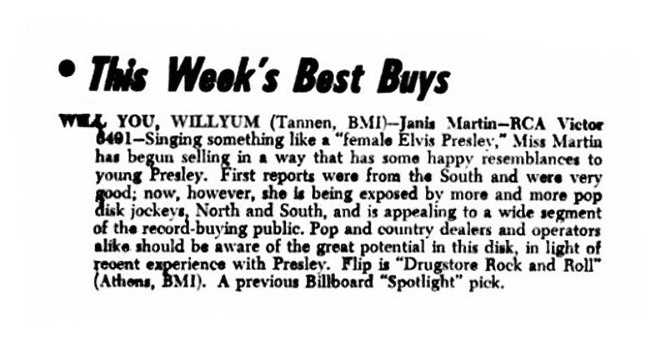 In this edition of Billboard, Will You, Willyum has been promoted to one of the week’s “Best Buys”. 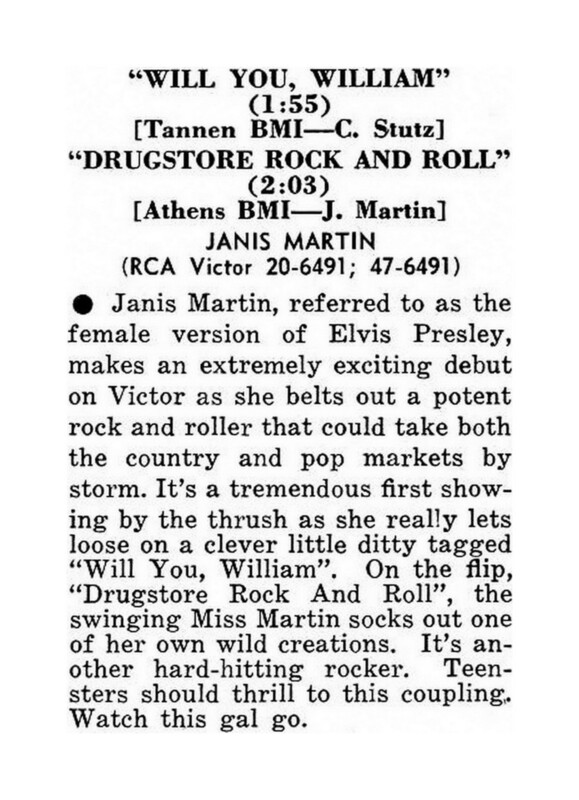 According to the article, not just Janis’ style, but also the sale of her first record bears a resemblance to Elvis since next to the South, the North of the country is now also picking up on Janis Martin. By late May, Will You, Willyum climbed to the nr. 3 position in Janis’ home state. 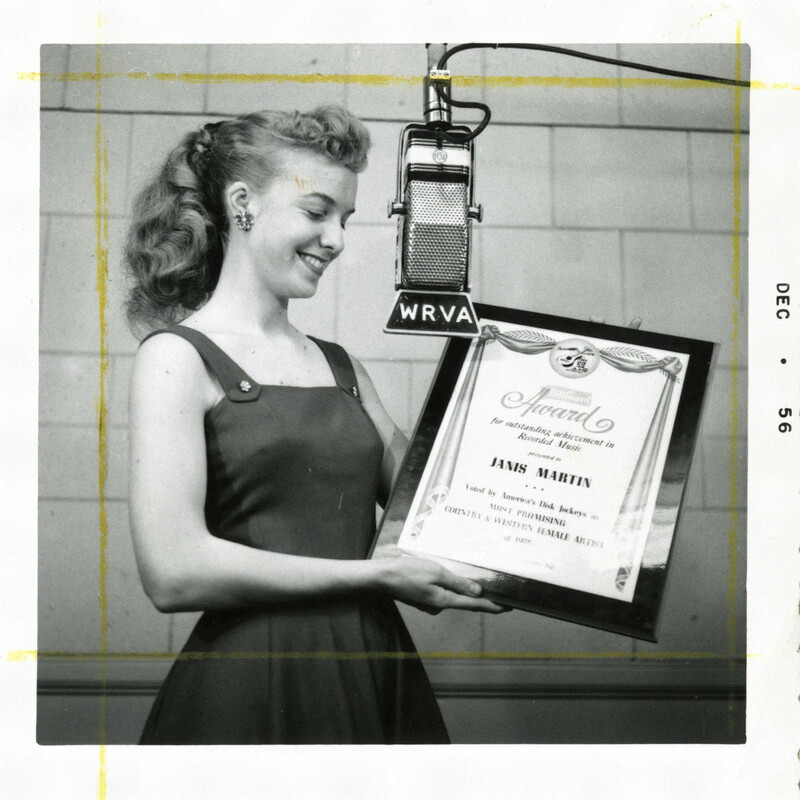 With Elvis Presley holding the top spot, Carl Perkins at number 2, Janis Martin at 3, and Warren Smith at 6, one must admit that Virginia folk certainly have great taste! 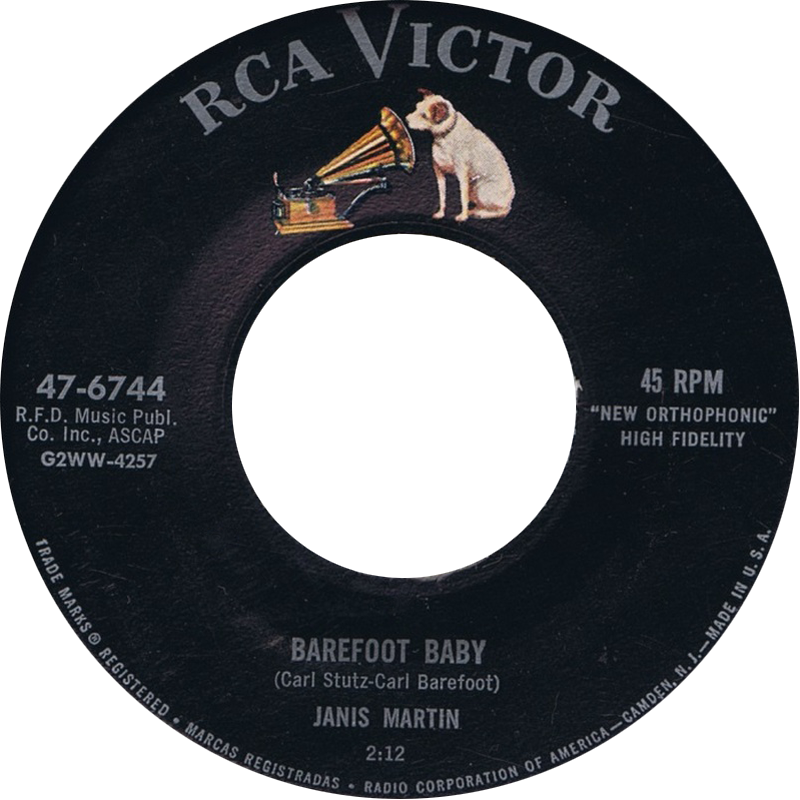 Only two months after Janis’ debut single, RCA Victor released her second single for the label. 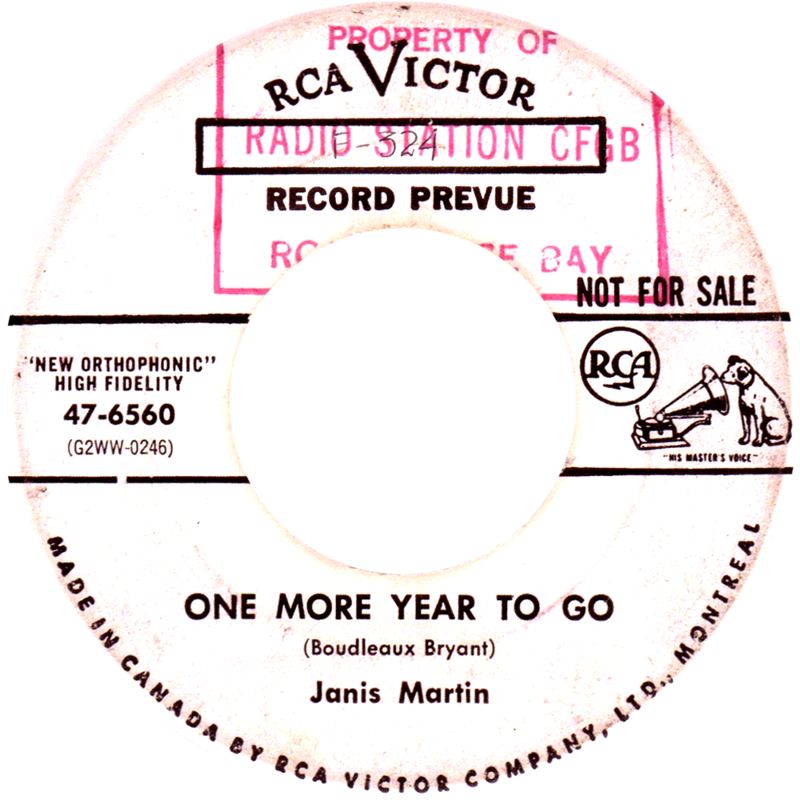 One More Year To Go was part of Janis’ first recording session. 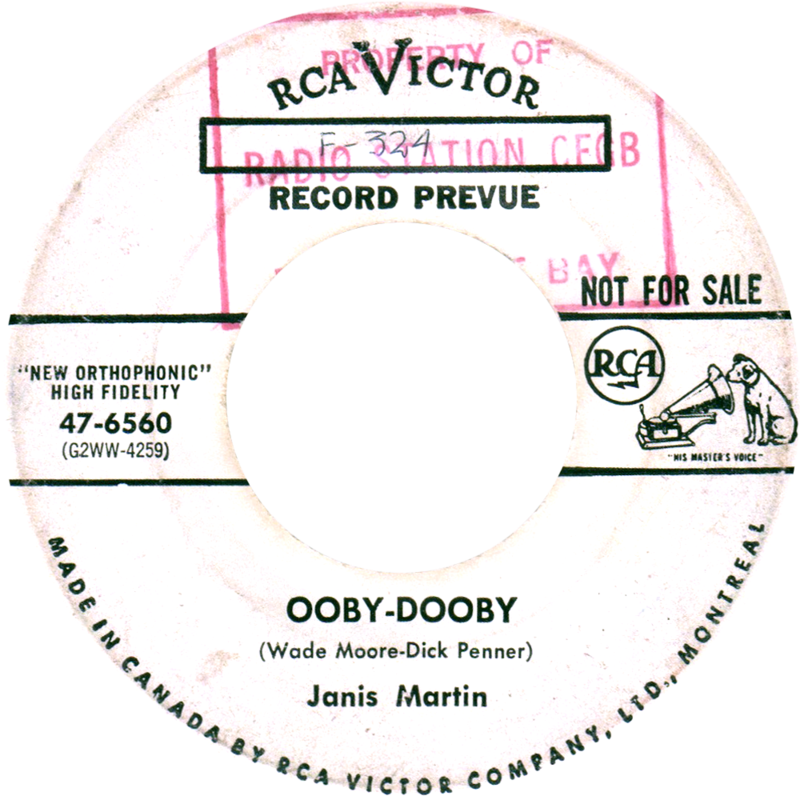 Ooby-Dooby (a cover of the Roy Orbison song), was recorded the previous month. 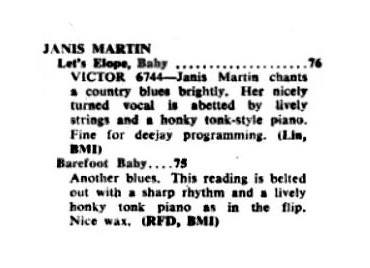 Also Janis’ second single was given some extra attention in Billboard through a ‘Review Spotlight’. 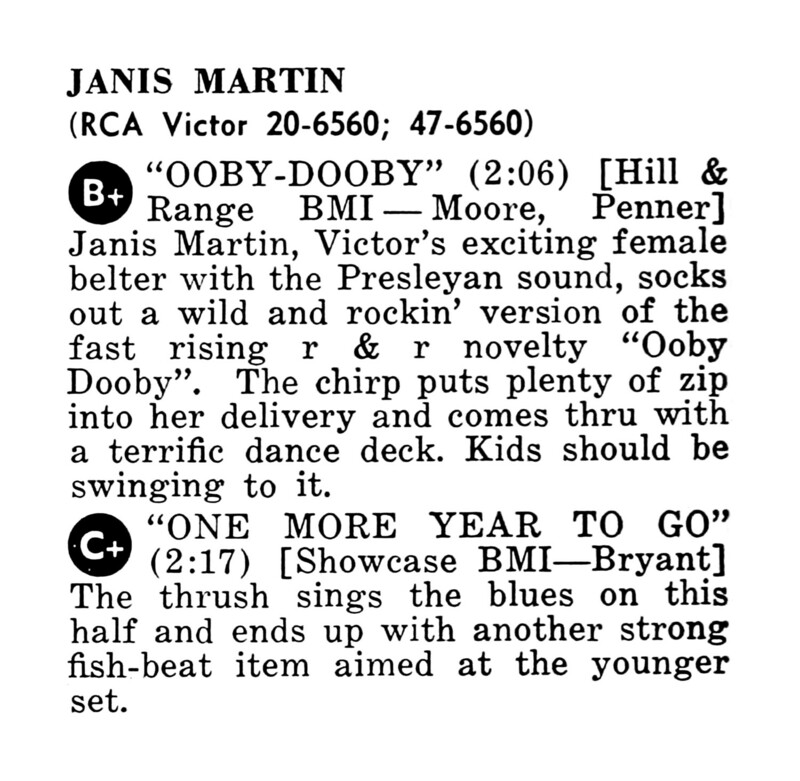 According to this review, Janis’ first single was a big seller for RCA Victor, but the second single may do even better, and not just in the country chart but also in Billboard’s pop chart. The second single was not seen as a potential hit by The Cash Box, as a result of which it did not receive a ‘Bullseye Of The Week’ review. 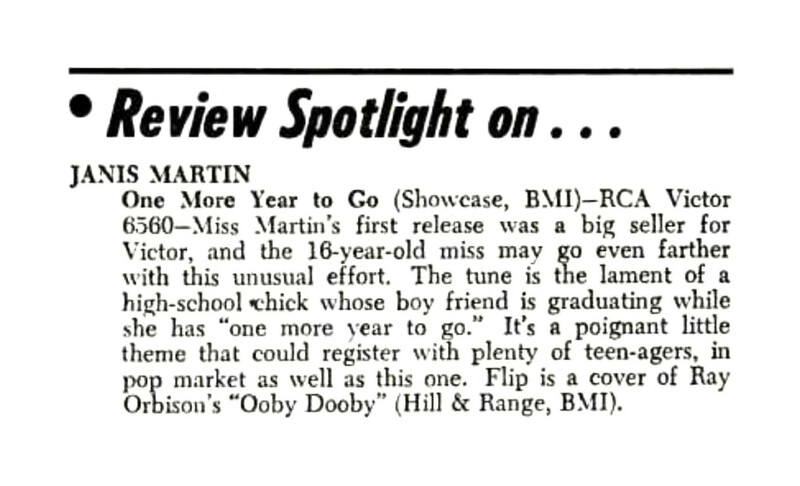 Still, the two songs scored very decently according to The Cash Box’s rating system, especially Ooby-Dooby, which received a B+, the mag’s second highest rating. The Cash Box clearly had less faith in One More Year To Go and more in its B-side. The Cash Box’s rating system was structured as follows: A (the highest rating), B+ (excellent), B (very good), C+ (good), C (fair) and D (mediocre). The title of this article says it all! Although the article to the right is basically about The Browns, Janis also gets a serious mention as a “fast rising young star” who is “currently making noise with Ooby-Dooby”. 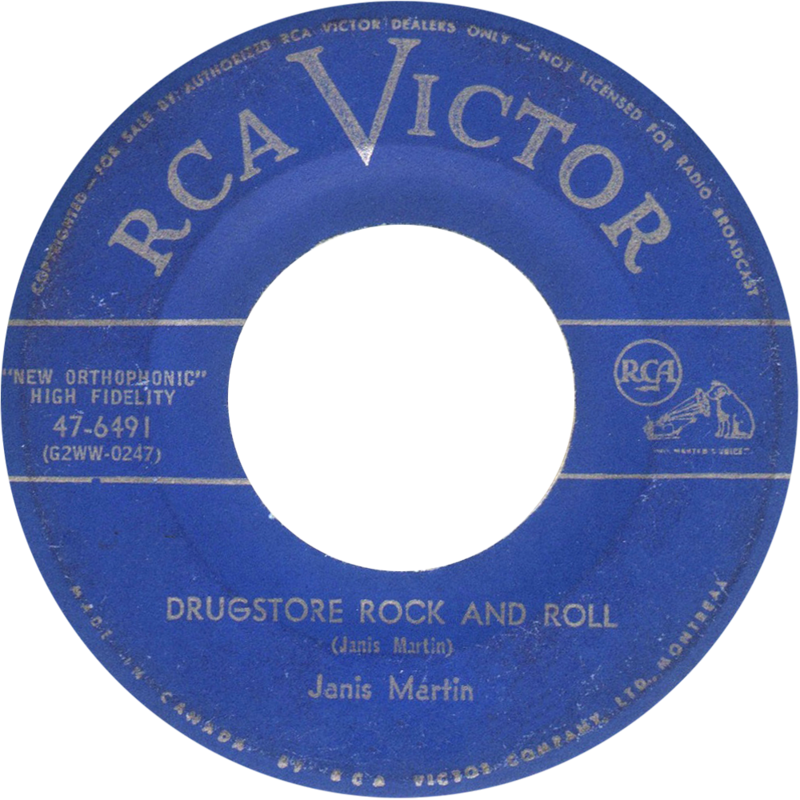 The Browns were a vocal group consisting of two sisters and a brother, and Janis will be linked with this act throughout her RCA Victor career. 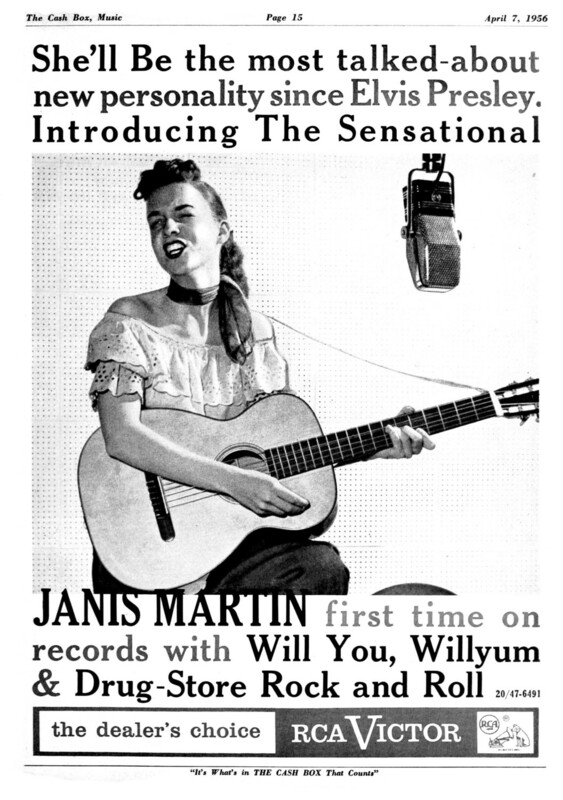 Here we have another full-page Janis Martin ad. 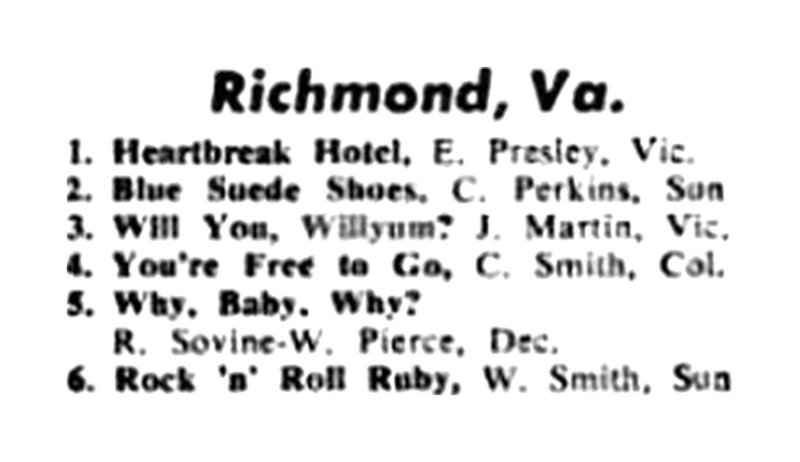 This ad simultaneously promoted Janis and Elvis’ second 45 for RCA while their debut 45’s also get a mention. 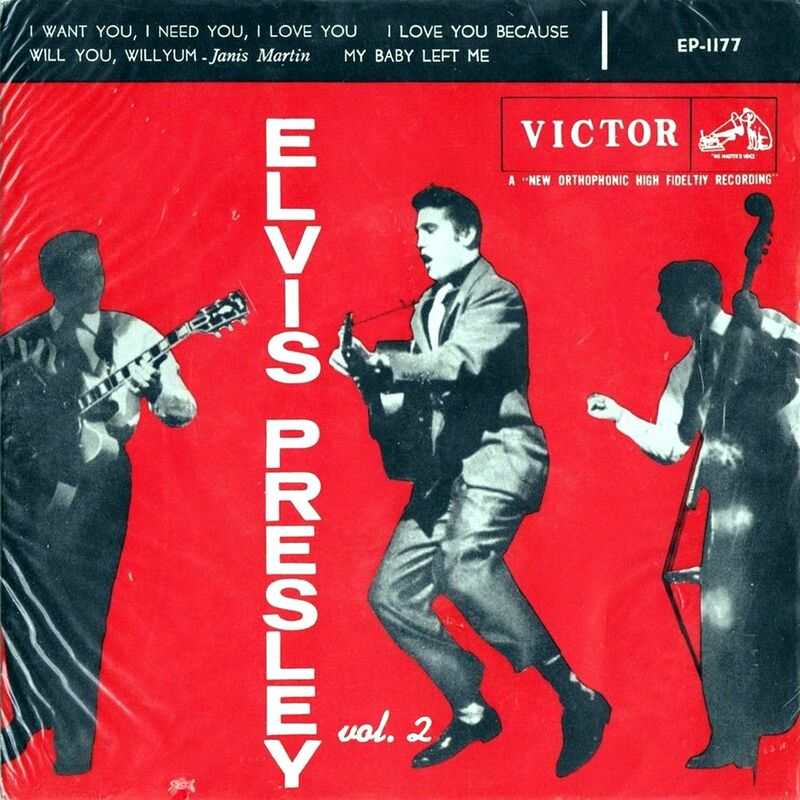 By this time Elvis had already topped the charts with his first RCA single, Heartbreak Hotel, and pre-orders of over 300.000 of I Want You, I Need You, I Love You were the biggest in RCA’s history. 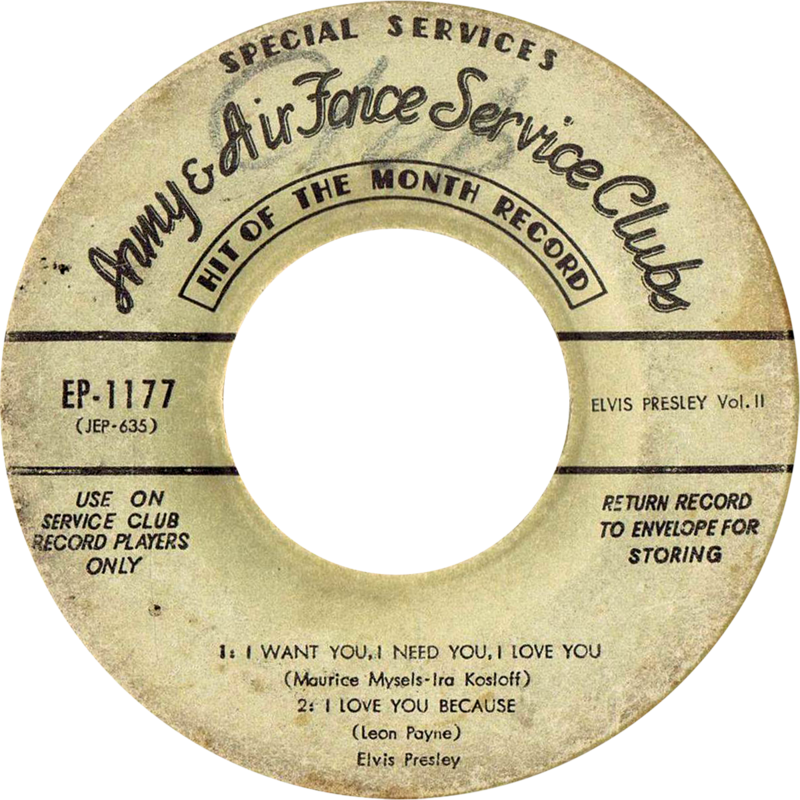 But Elvis’ third RCA single, Don’t Be Cruel / Hound Dog, released only shortly prior to the publication of this ad, was also already rushing up the charts. 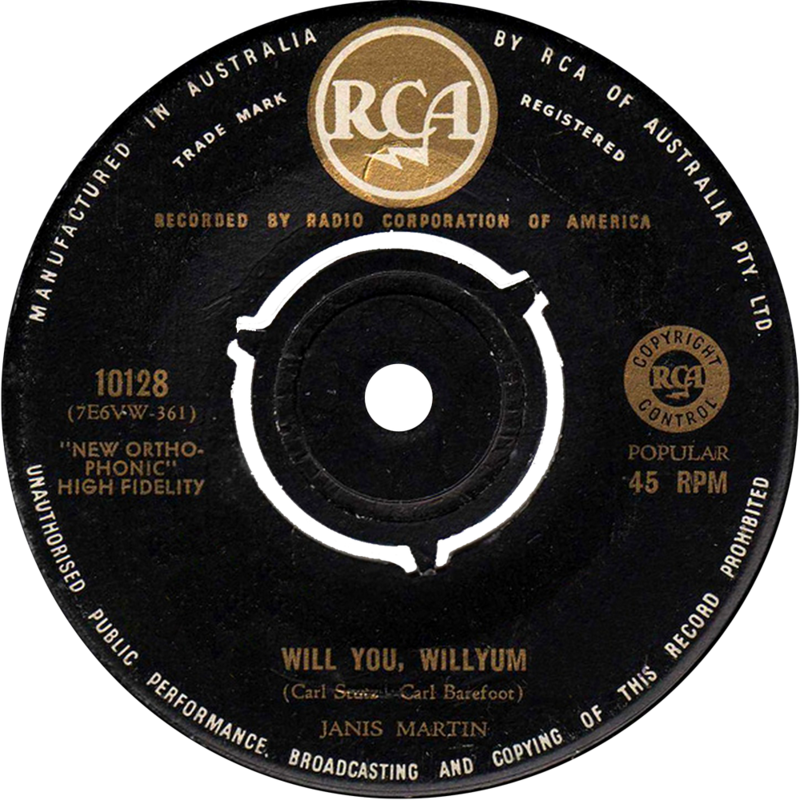 Janis had also done pretty well for herself, and sales of Will You, Willyum would eventually reach the 750.000 mark. But Janis must have welcomed a promotional campaign in which she gets equal billing with the hottest act in showbusiness. LADIES FIRST? It’s interesting to see that Janis gets mentioned before Elvis. Was this because of the choice of photos, or was it the ‘ladies first’ courtesy? What we do know is that Elvis’ manager certainly did not approve of his star getting ‘second billing’. 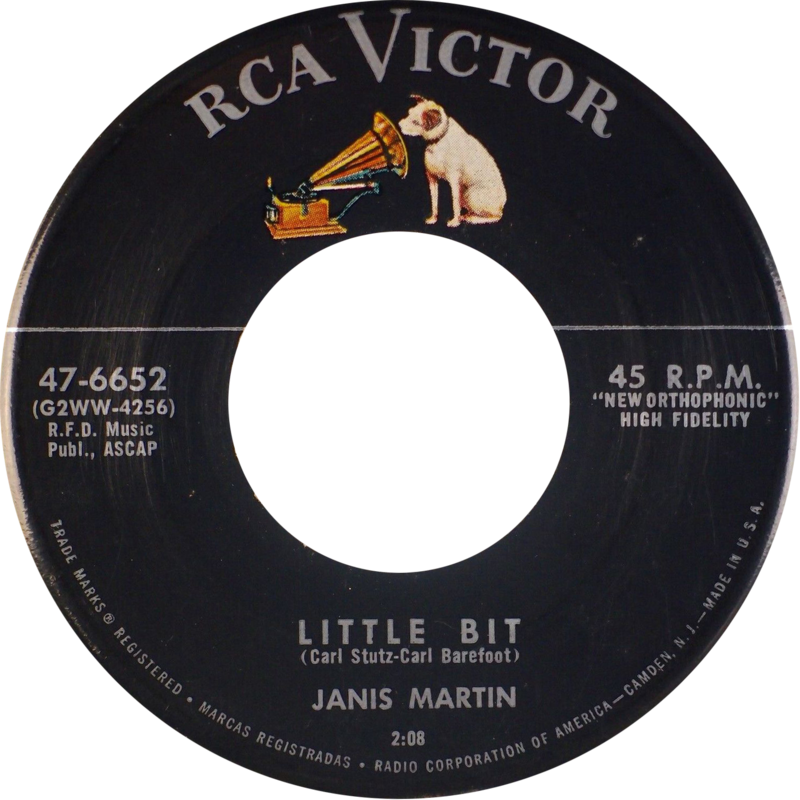 Janis’ third RCA single was released in September. 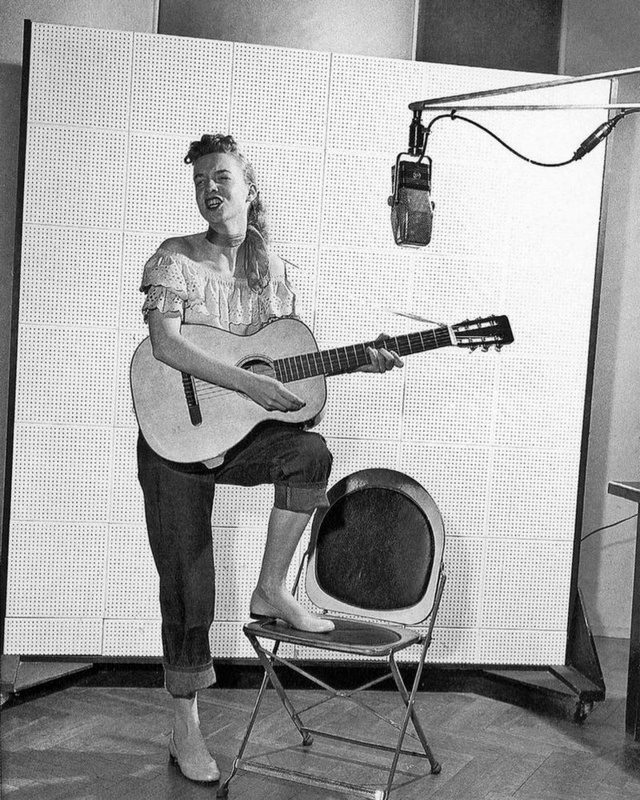 Both songs were recorded at her second session. 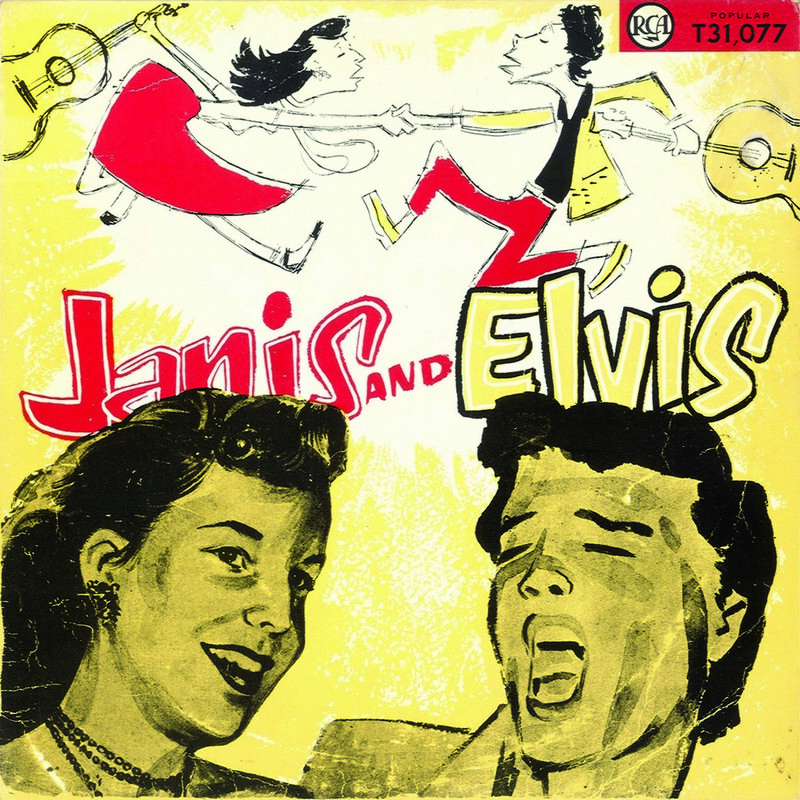 My Boy Elvis would further cement Janis’ reputation as the female variation of Elvis Presley, and till this day it’s the song Janis is mostly associated with. The third single also received a ‘Review Spotlight’ in Billboard. “Two strong sides here. My Boy Elvis, for obvious reasons, figures to get initial attention”. 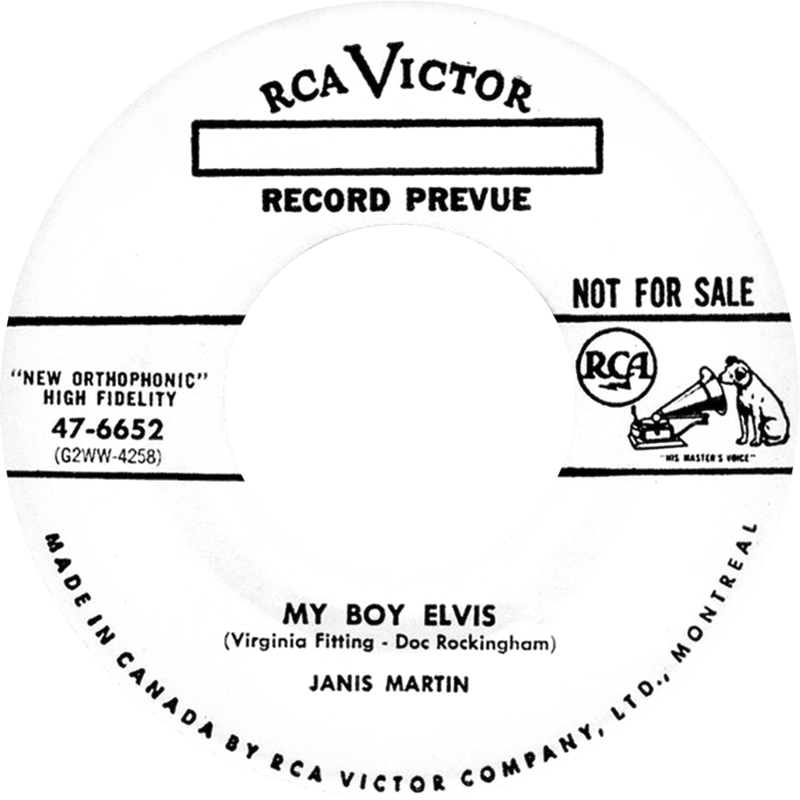 No ‘Bullseye of The Week’ in The Cash Box, but the single was received pretty well, even though its combined rating, with My Boy Elvis scoring a B and Little Bit a C+, was The Cash Box’s lowest yet for a Janis Martin single. 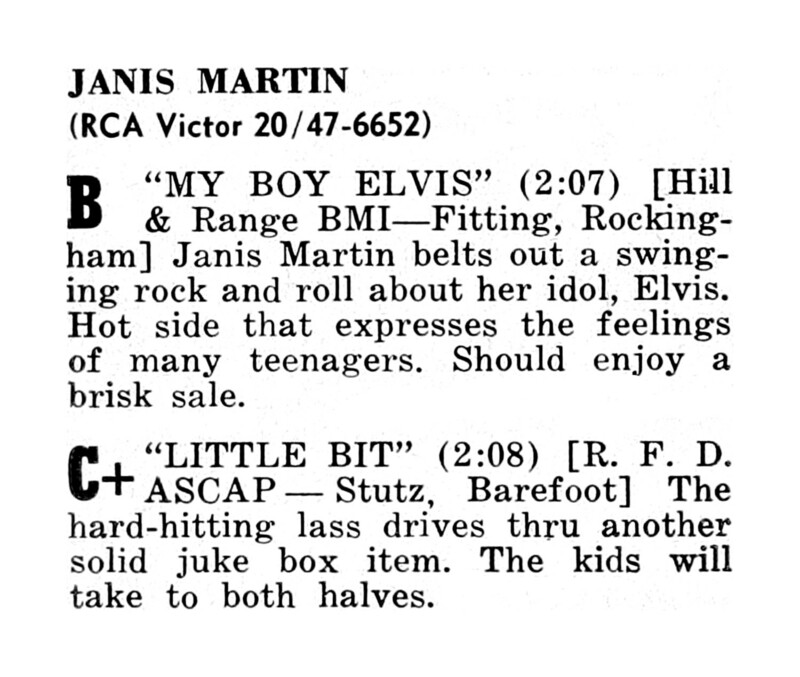 So, all three of Janis’ singles were rated lower by The Cash Box when compared to Billboard. The fact that The Cash Box’s reviews of Janis’ singles were all published one week after being reviewed in Billboard might have something to do with this. 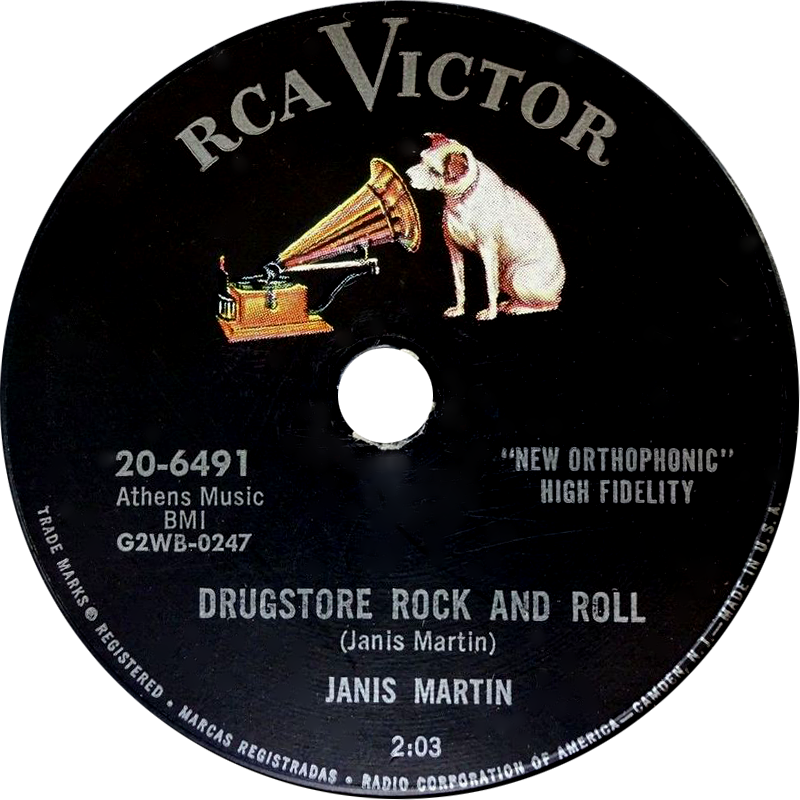 To the right we see a half-page advertisement for Janis’ third single. The small photo of Janis in this ad, was her first image in Billboard magazine. With the release of Janis’ fourth single, all eight of her recordings were now on the market. 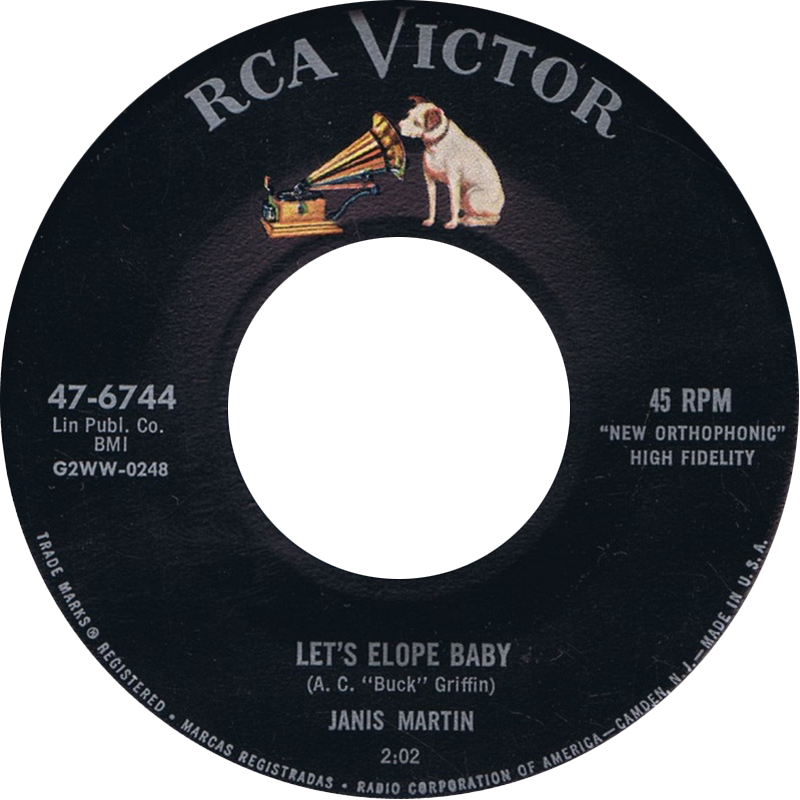 Let’s Elope Baby was a leftover from Janis’ first recording session, while Barefoot Baby was the last remaining song from the second session. 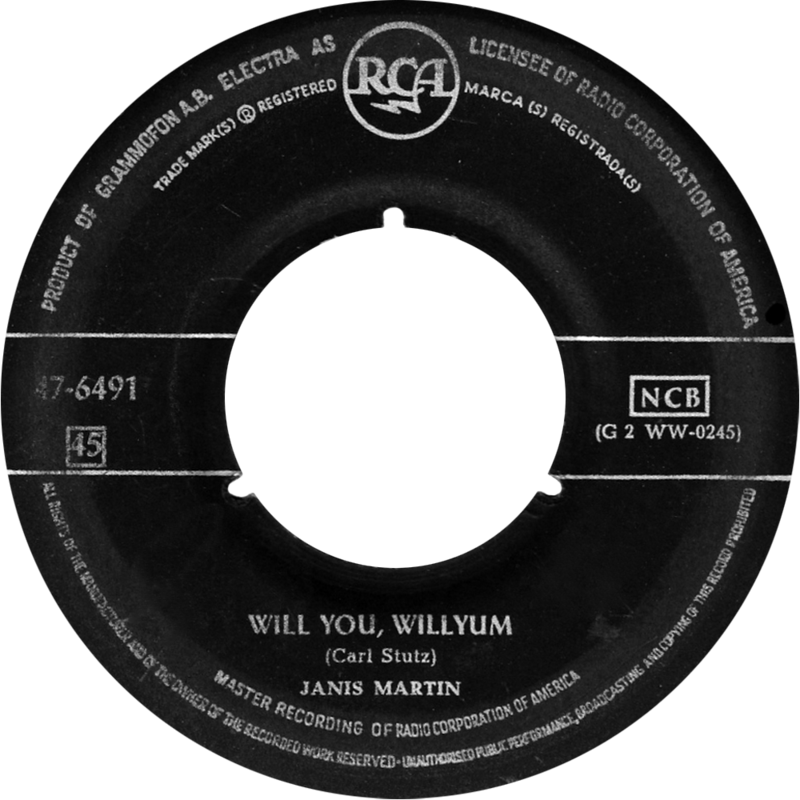 The fourth single in only nine months, was not received as well as Janis’ first three records. It was the first single that did not get a ‘Review Spotlight’ in Billboard, while The Cash Box ignored this release completely. In the small Billboard review to the right we can read that Let’s Elope Baby is quailified as “fine for deejay programming” and Barefoot Baby is a “nice wax”. By the end of her first professional year, Janis won Billboard’s “Most Promising Female C&W Singer of 1956” award. Judging by the big smile on her face, Janis must have been very pleased with this. The future was looking bright for the young rock ‘n roller! 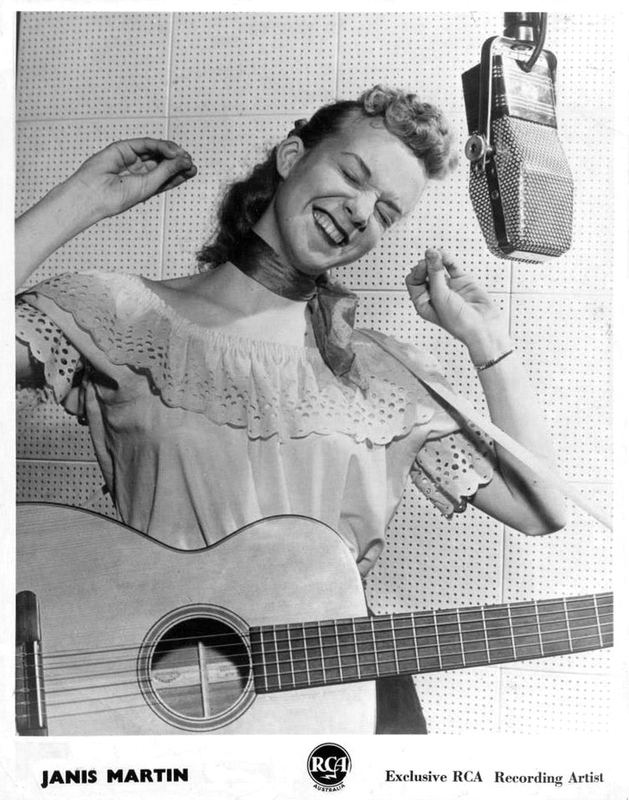 In a similar poll by The Cash Box, “Most Promising Country Female Vocalist Of 1956”, Janis ended up in third place, behind Wanda Jackson and Brenda Lee. Not bad at all, especially when taking into account that The Cash Box had been less positive about Janis’ records than Billboard. 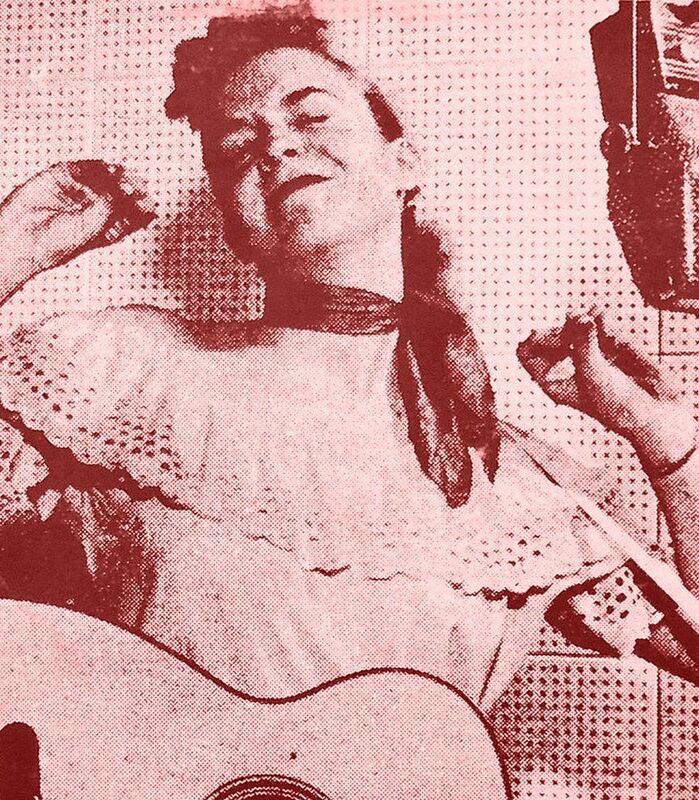 Interestingly, Janis received twice as many votes in this poll as the lady who would become one of the most successful and most influential vocalists of the 20th century (and who ended up in seventh place in The Cash Box poll): Patsy Cline. 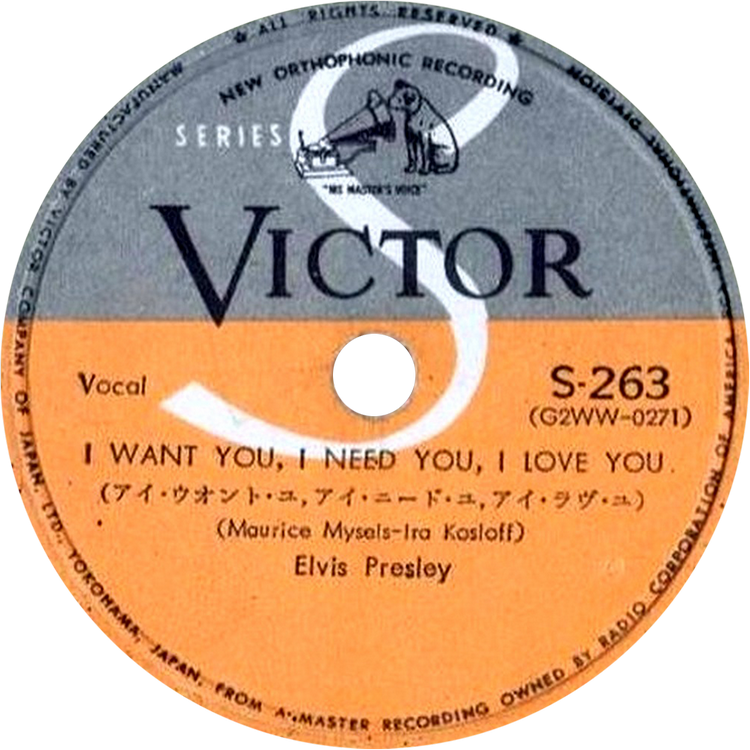 Even though unheard of in the USA and Europe, it was quite common for RCA Victor in Japan to couple different artists for their 45, 78 and EP releases. 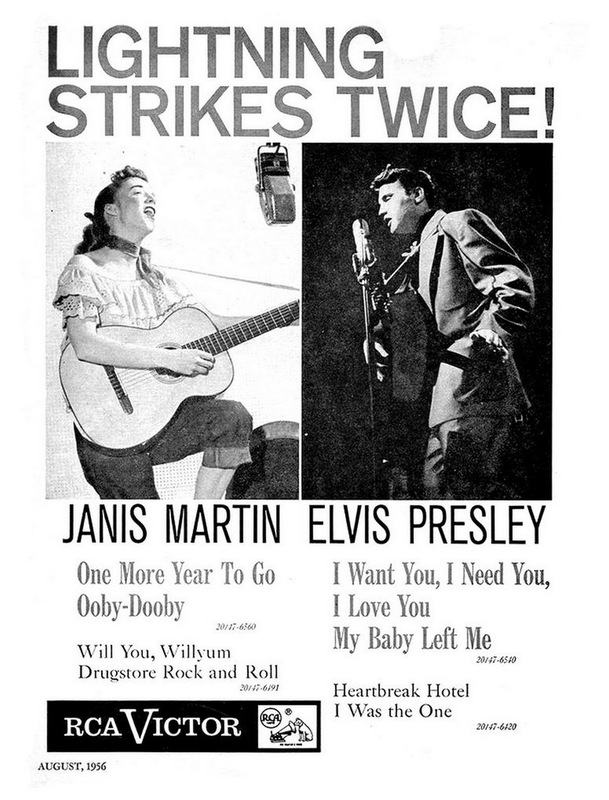 Janis Martin was coupled with Elvis Presley on three occasions in this country, this included her very first Japanese release. 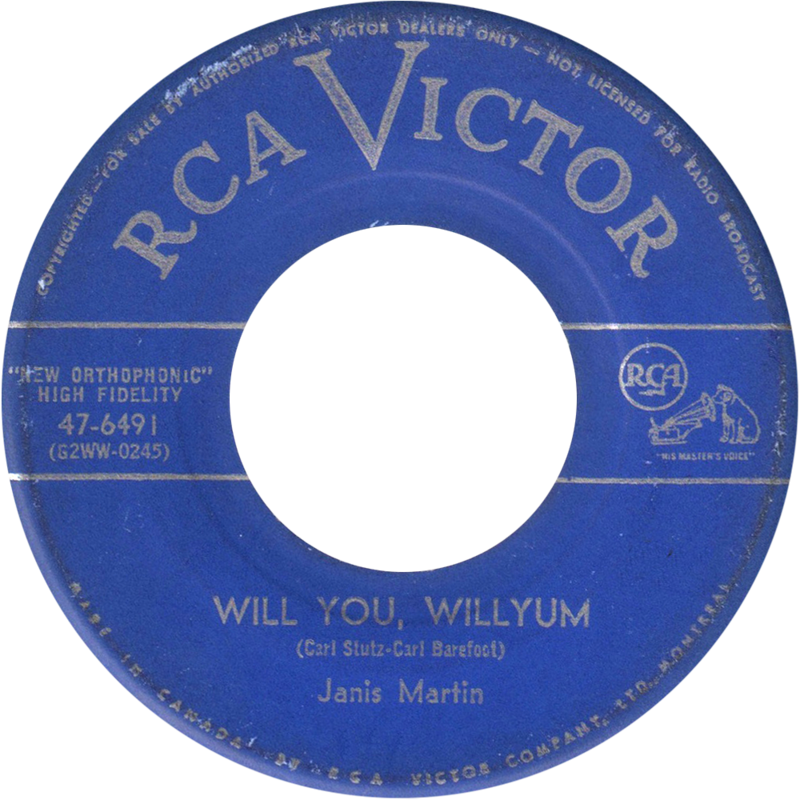 Janis’ first release in Japan was a 78 RPM single that had her song Will You, Willyum as the B-side to Elvis Presley’s I Want You, I Need You, I Love You. By the time this 78 was released, Janis had scored a medium hit in the USA with her first single, while Elvis already had three records out in Japan and was quickly taking the world by storm. So the strategy to couple the female Elvis with Elvis himself in order to introduce Janis to the rock ‘n’ roll buying public in Japan, was actually a brilliant marketing idea. 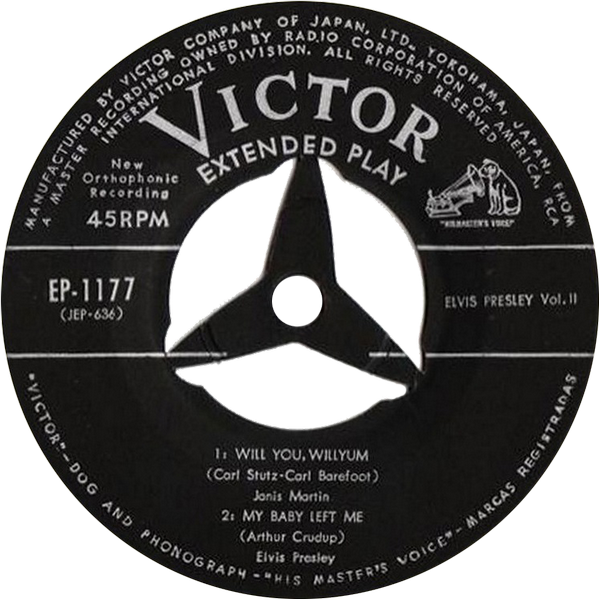 RCA Victor’s 78 RPM records in Japan came in a simple generic sleeve, but these releases also included a nice 4-page paper insert that contained the lyrics of the songs plus sometimes a few pictures. 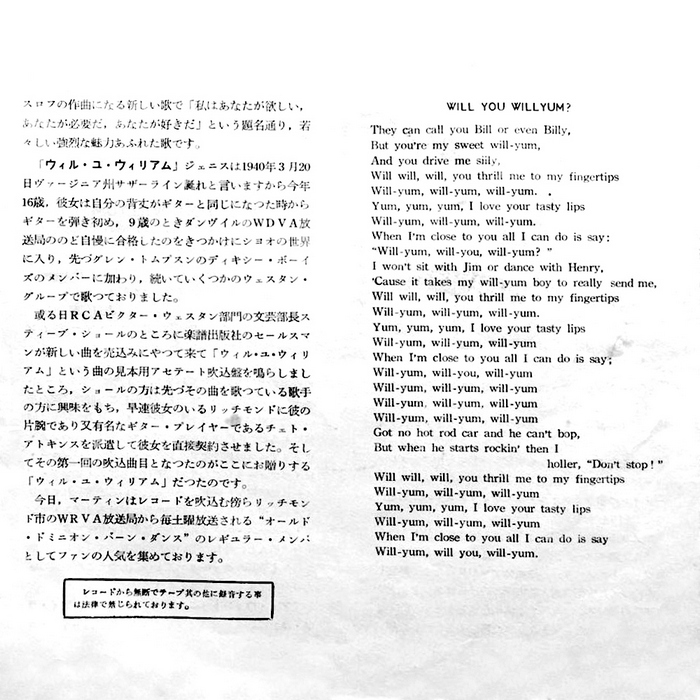 Above to the right we see the front of the insert of Janis’ first Japanese release. Notice that the image of Janis is 3 or 4 times larger than the image of Elvis. While this 78 shows up in auction from time to time, it hardly ever includes the insert. 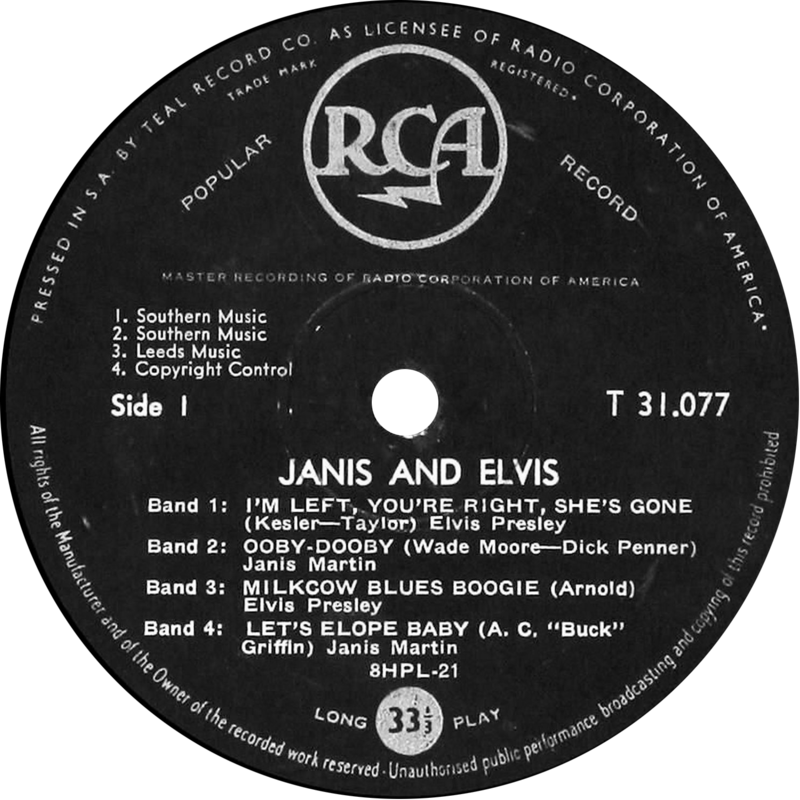 This rare Elvis EP includes 1 track by Janis! 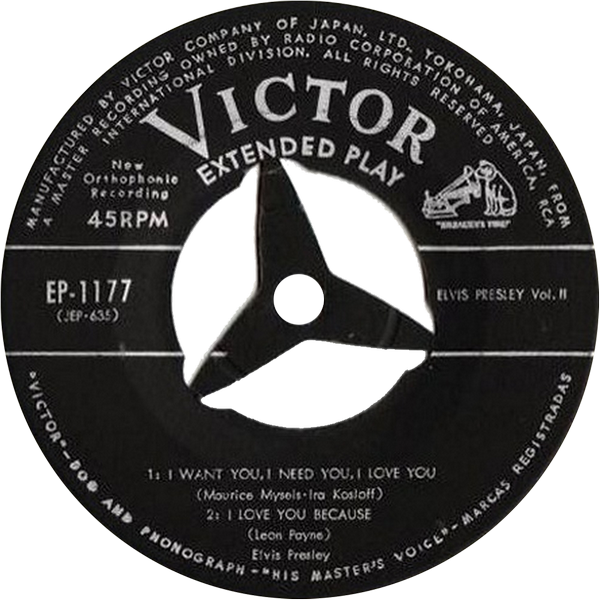 RCA Japan took three songs from Elvis’ two latest Japanese 45’s and combined it with Janis’ first Japanese 45. 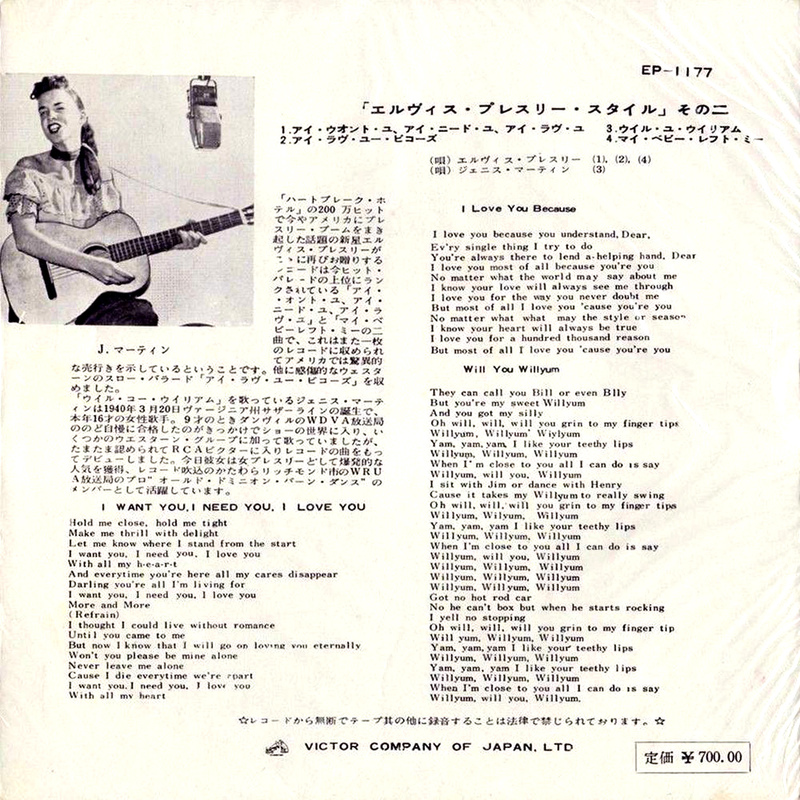 This American rarity has the same tracklisting and catalog number as the above Japanese EP, but it was only intended for use on US Army and Air Force bases in the Far East. 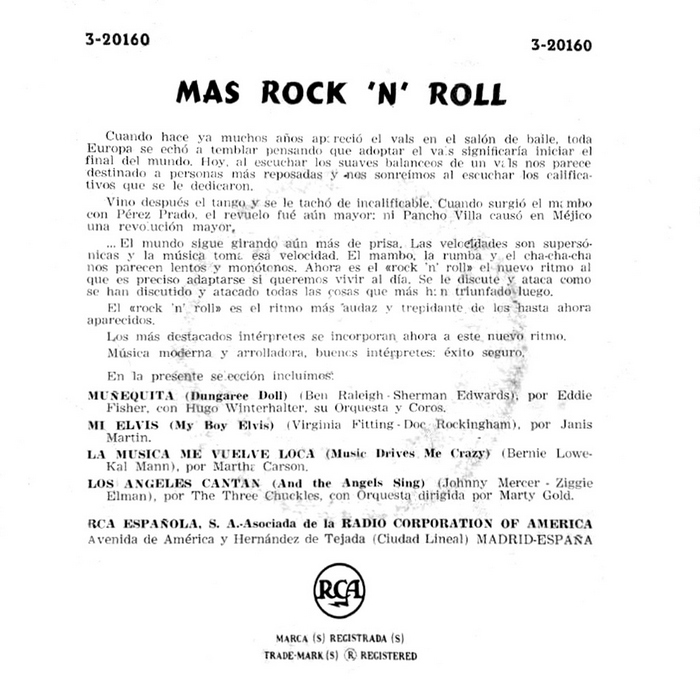 The EP was pressed in a very small quantity and came without a picture sleeve. 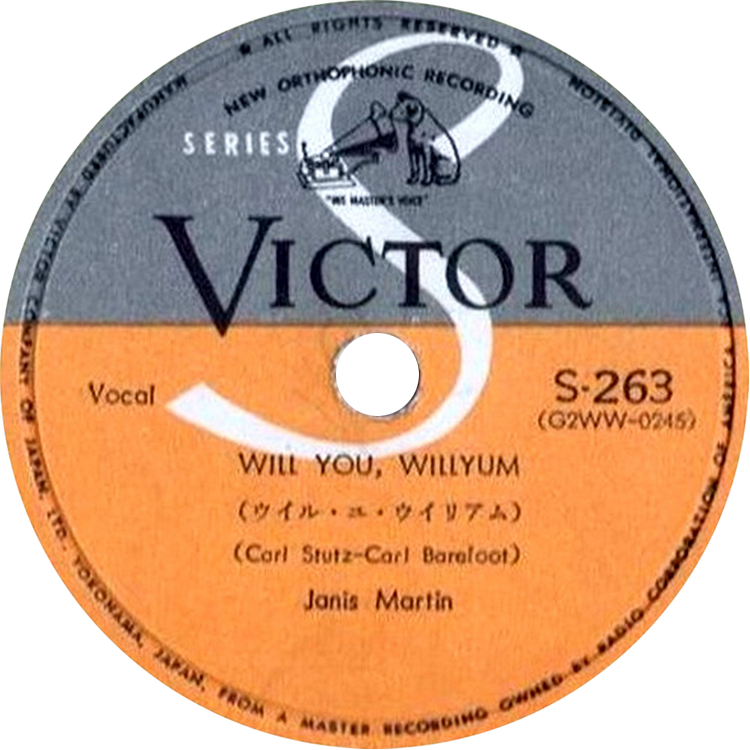 When RCA Japan introduced their new VICTOR SS SERIES in February 1957, they re-released some of their earlier 78 and 45 titles in this new 45 format, including Janis’ Japanese debut release. 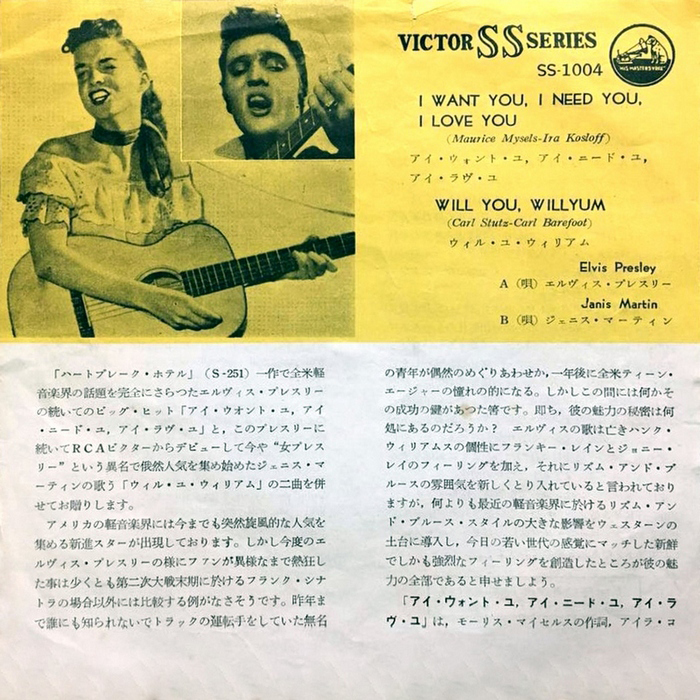 SS-1004 was the third and final Janis + Elvis coupling in Japan. We end the Janis + Elvis discography with one of the most desired Elvis vinyls in the world. This 10″ LP was released in South-Africa, in 1958. 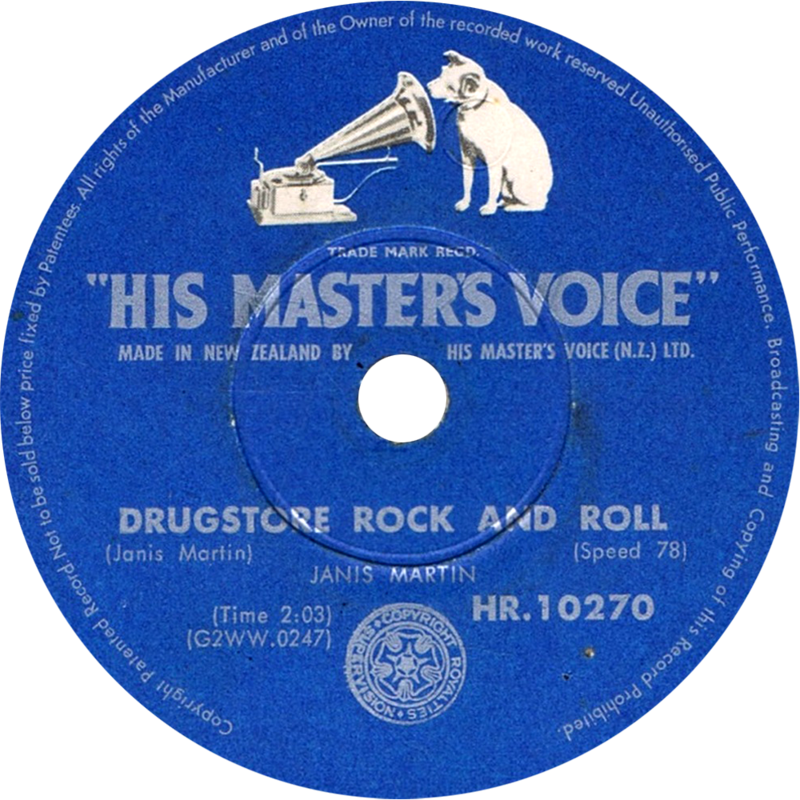 Only very few copies had been sold when the LP was withdrawn. Apparently, Parker was not thrilled with the title being Janis and Elvis instead of Elvis and Janis. This much sought after album has been bootlegged a few times over the years. It was also re-released by RCA France in the 80’s. But the album we see here is the real deal, and this beauty will easily set the potential buyer back $2000,-. In a later interview, Janis stated that she wasn’t even aware of this release until the late 1980’s, when a collector of rare vinyl first showed her this album. 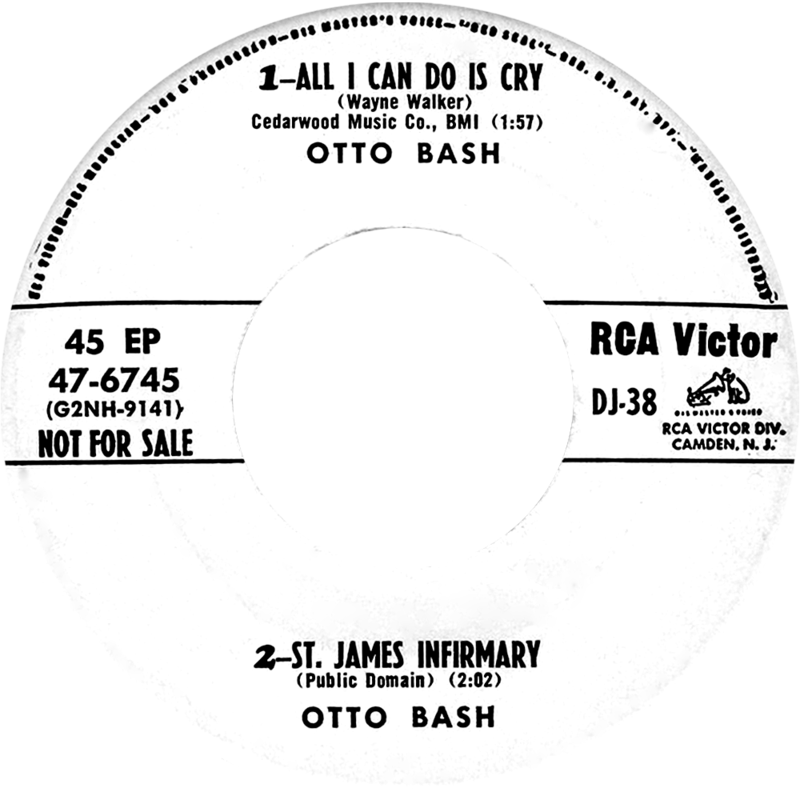 This November 1956 promo, coupled Janis’ latest single (her fourth) with Otto Bash’s latest single. 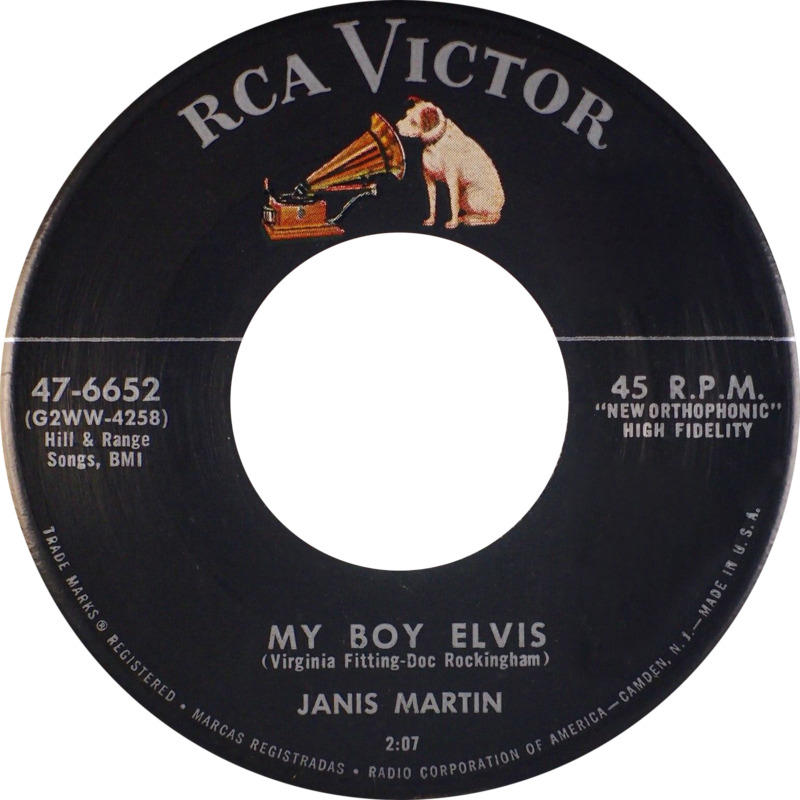 Interestingly, before RCA released My Boy Elvis by Janis Martin in September 1956, it had already released an earlier Elvis tribute song in June 1956: The Elvis Blues (RCA 47-6585), by … Otto Bash. Here we have another very rare record. 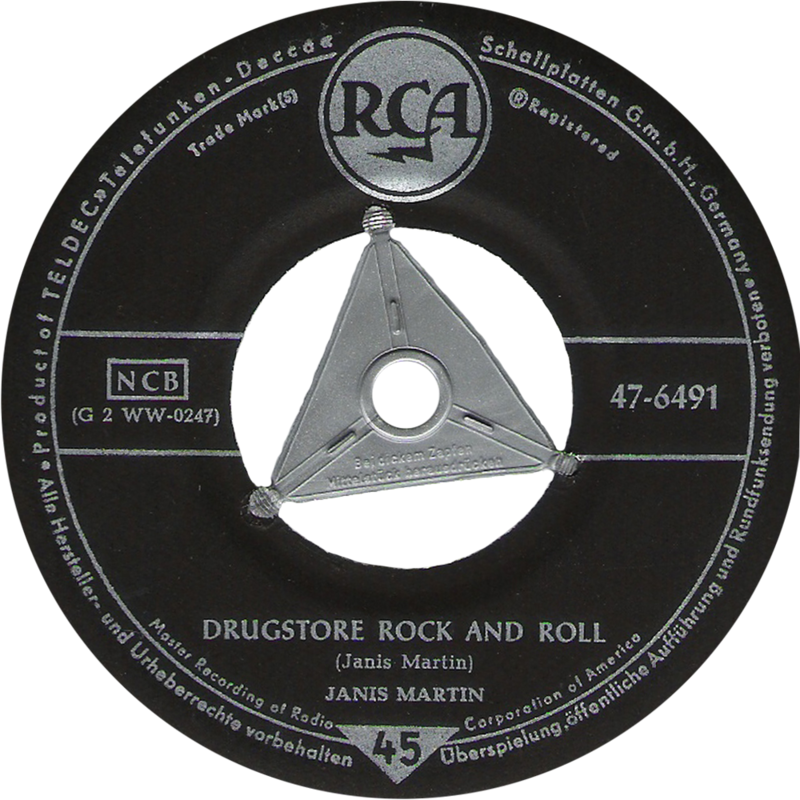 This Italian 10″ LP was released in December 1956, it includes ten songs, four of which are by Janis Martin. These four tracks are the A and B sides of Janis’ third and fourth single. 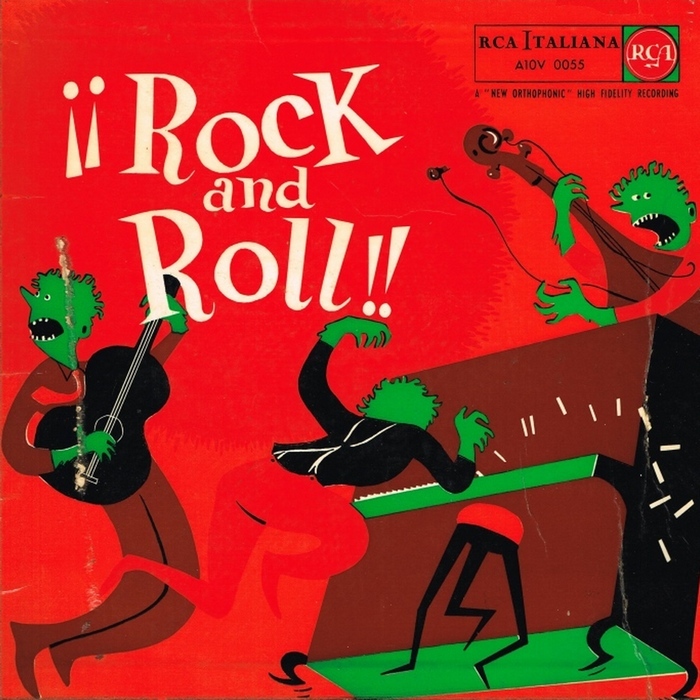 For some reason, many rock ‘n’ roll compilations in Europe came with the most interesting and obscure front covers. 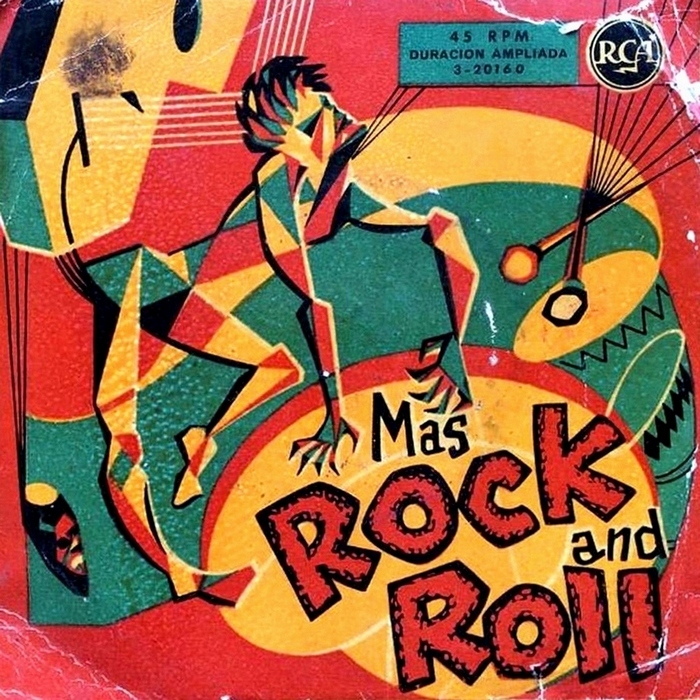 The Spanish four track EP to the right is another example of this. This EP includes one song by Janis: My Boy Elvis. 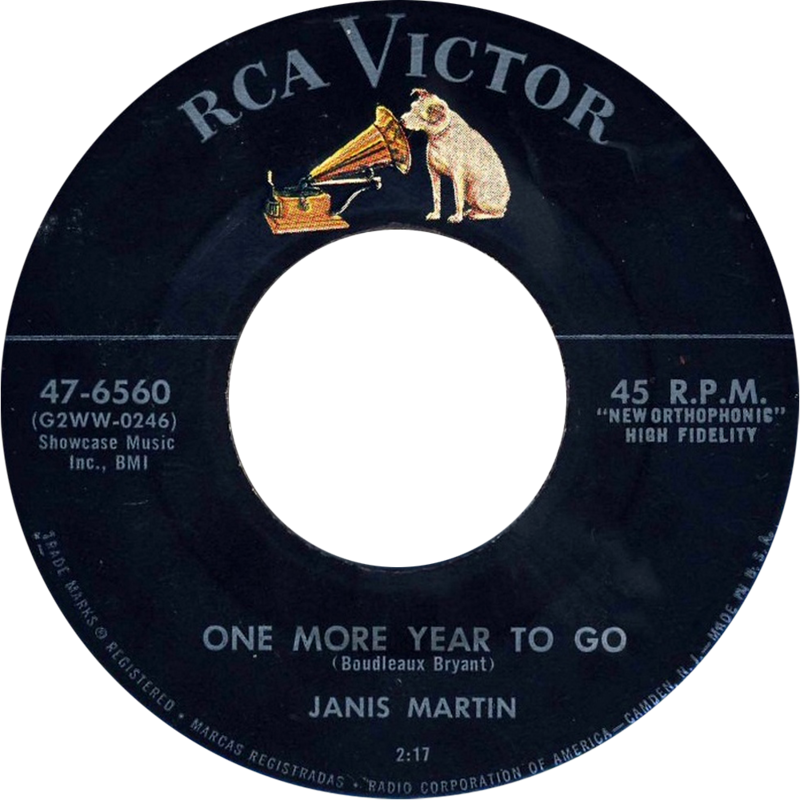 In Part 2 of our tribute to Janis Martin, we’ll take a look at 1957. The chart information that is reproduced in this article, originates from the historical archives of Billboard and The Cash Box. Massive thanks to Chris Giles at The Elvis Shop for his help! Janis was the best of the female rockers by far. And such a lovely lady, too. Awesome work, and long overdue appraisal of my favorite female rocker.